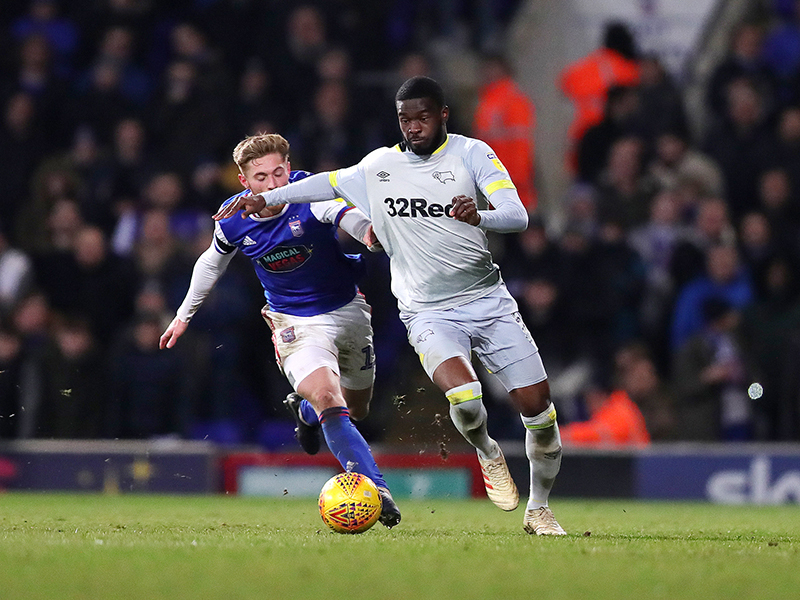 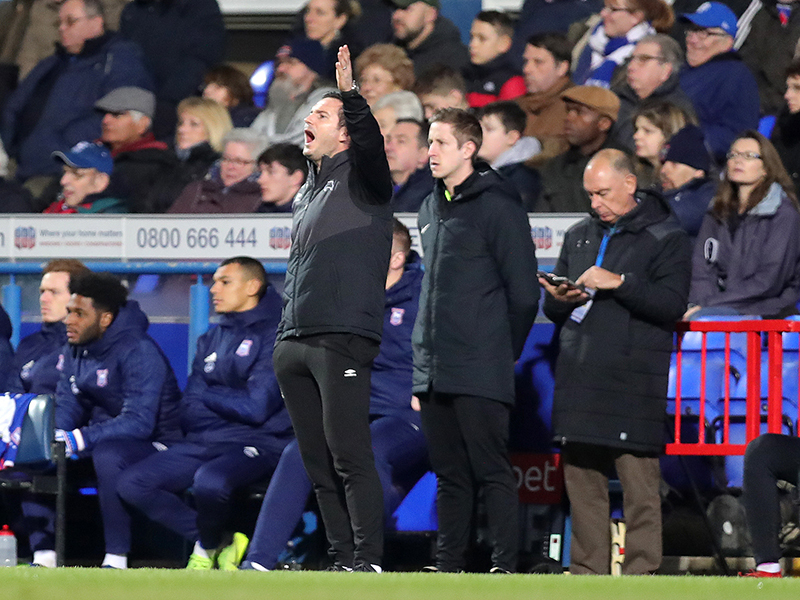 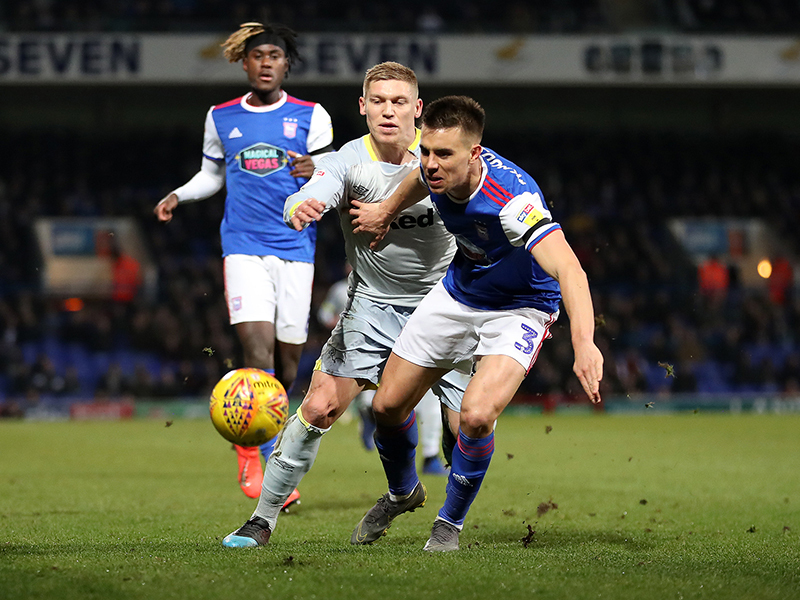 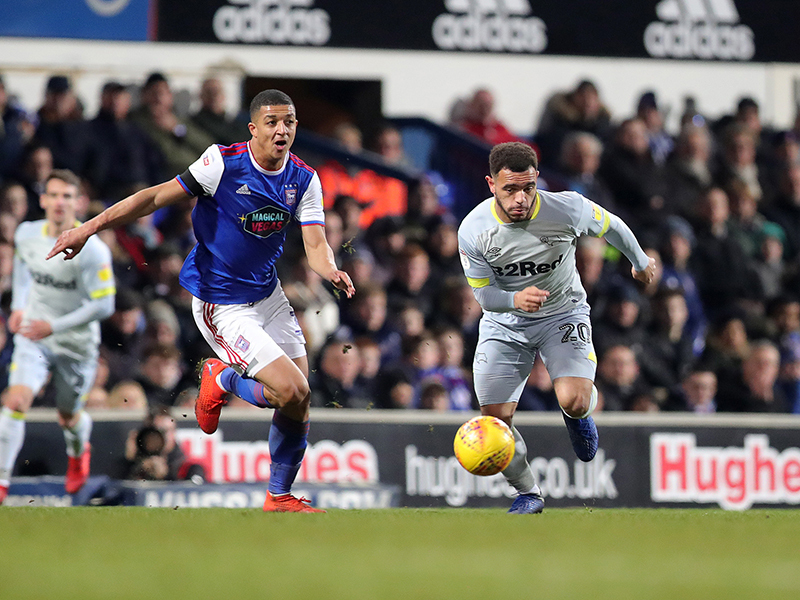 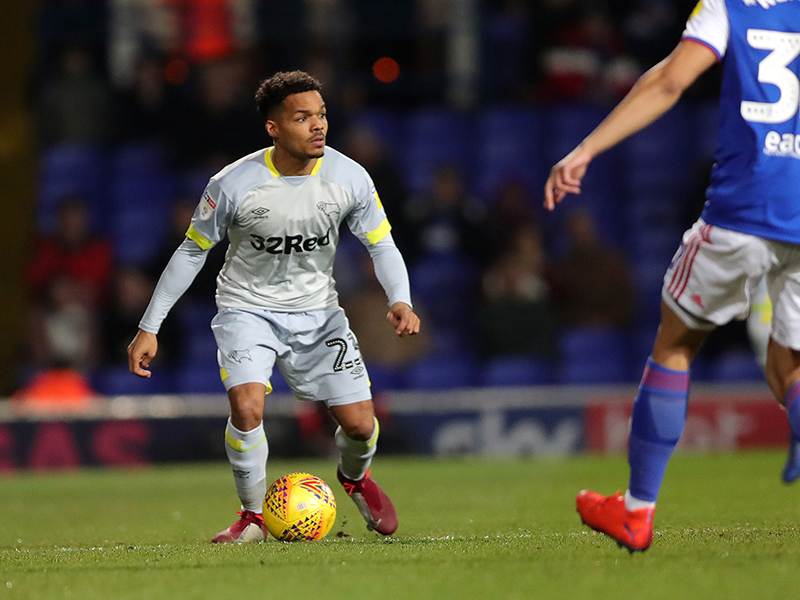 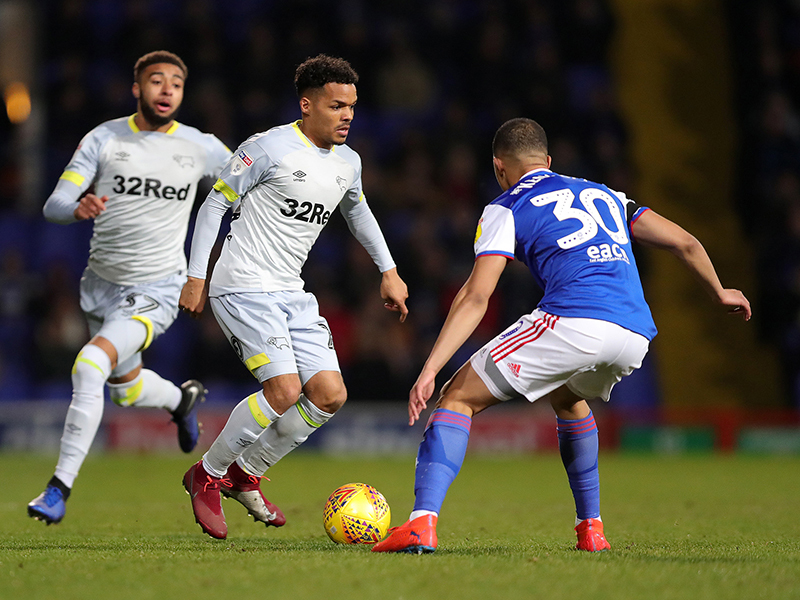 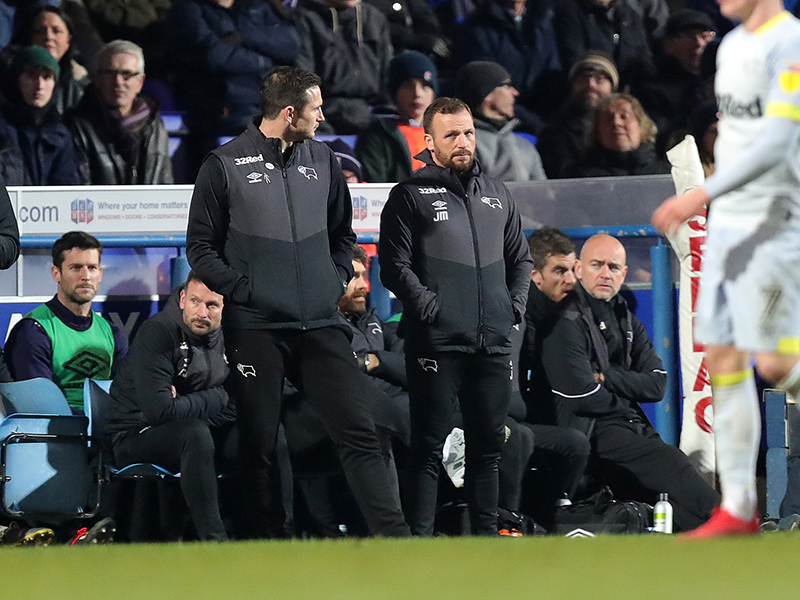 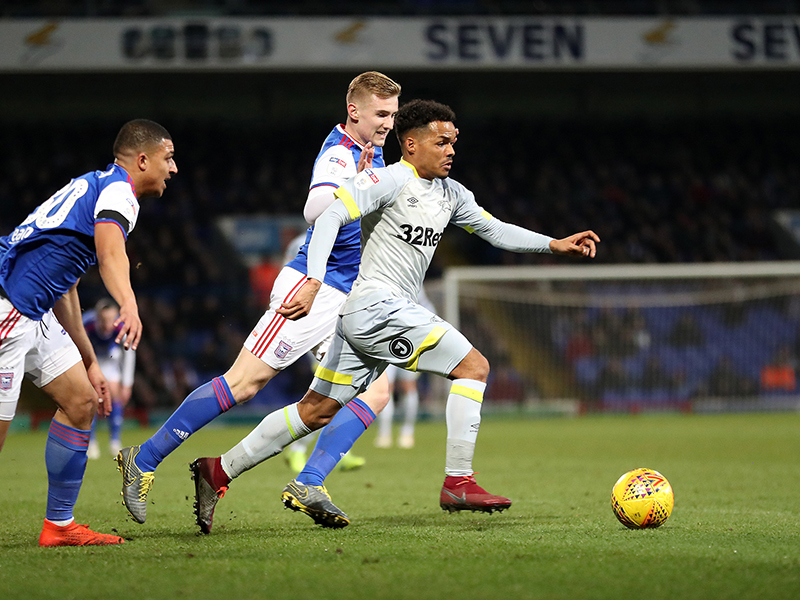 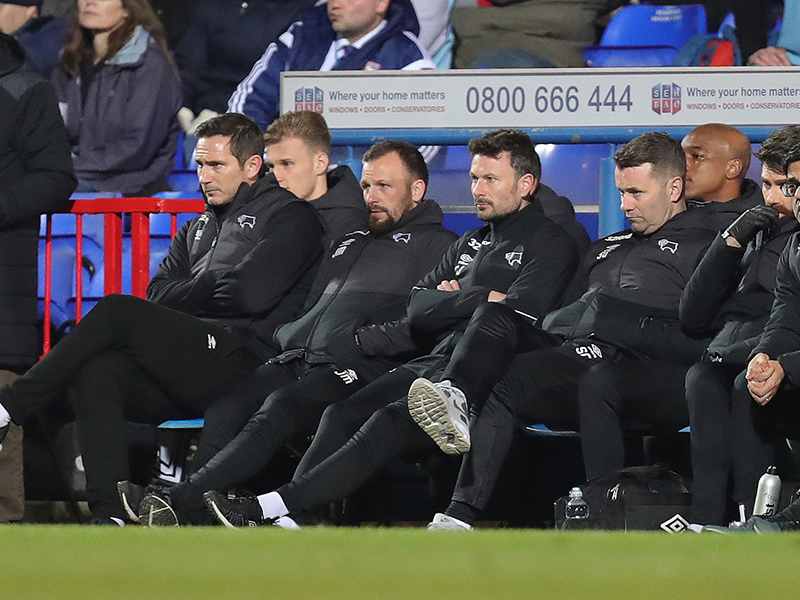 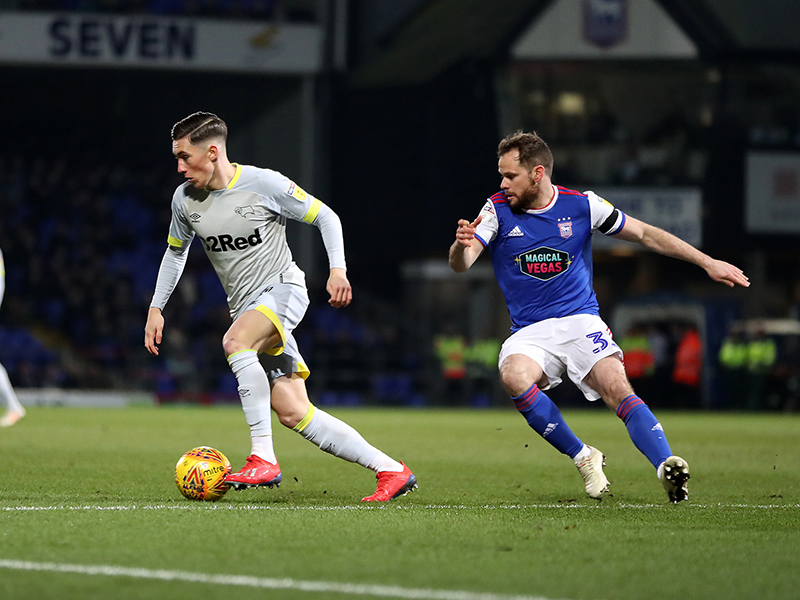 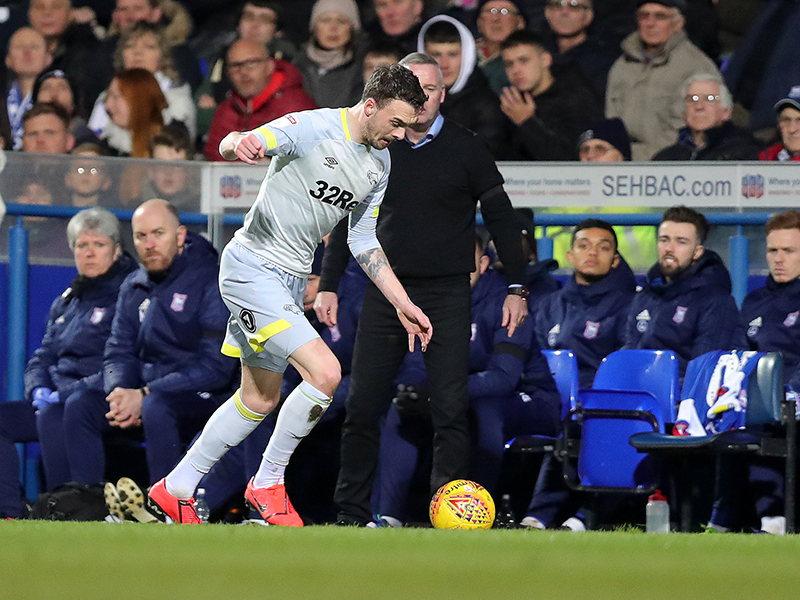 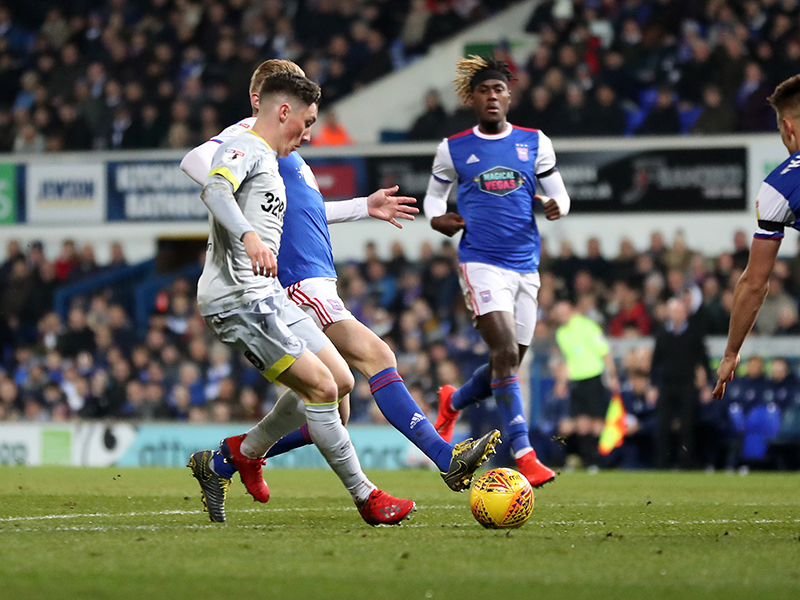 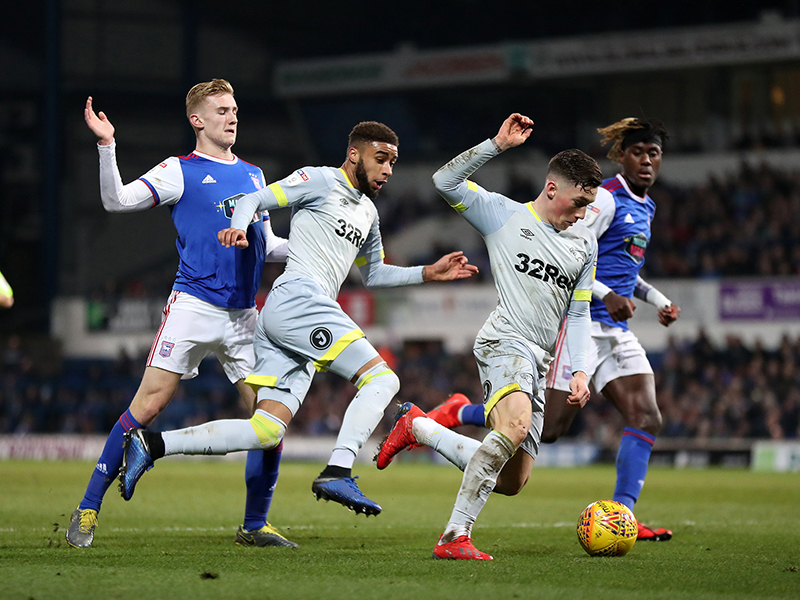 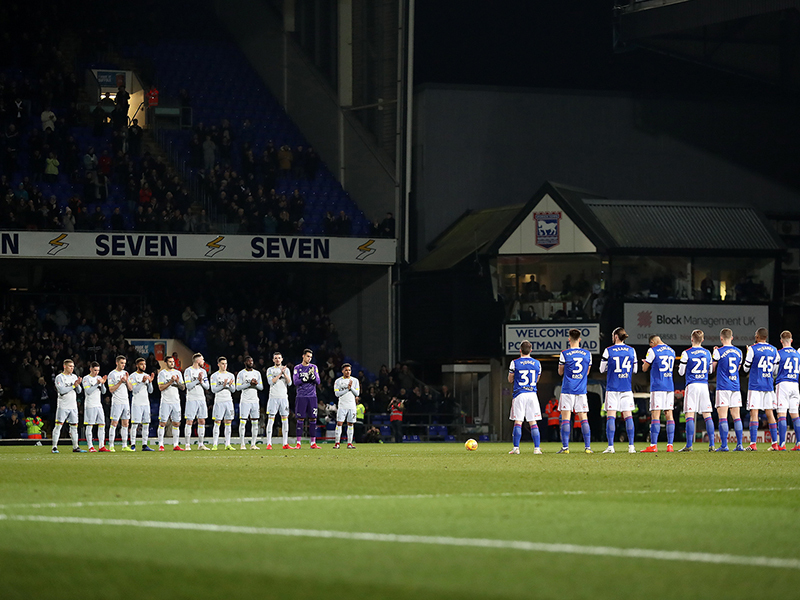 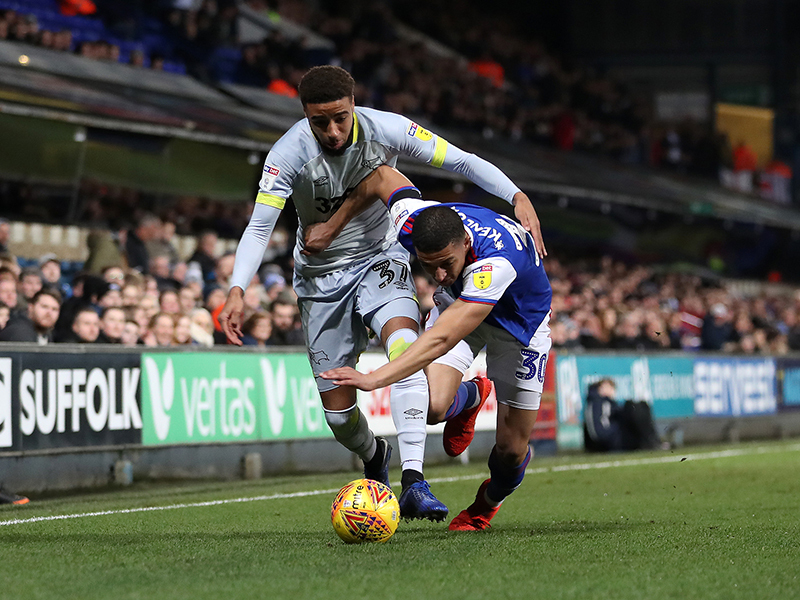 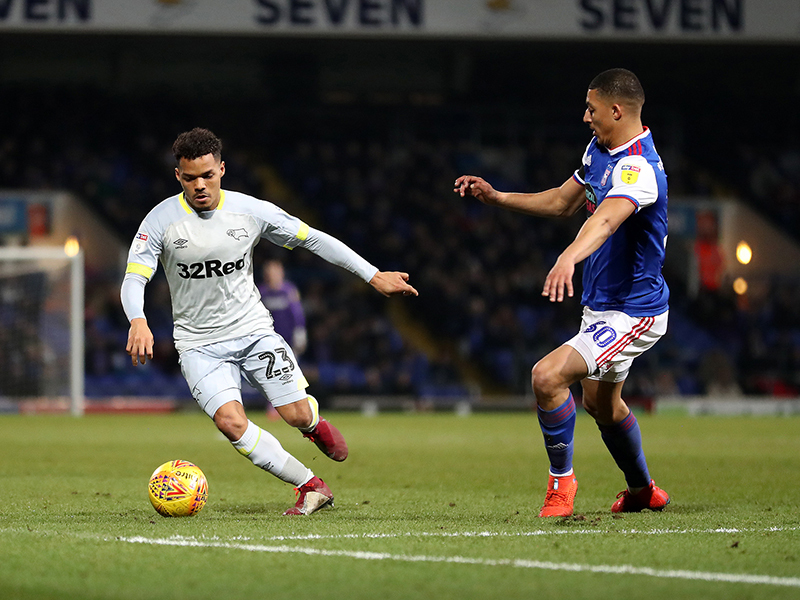 Derby County took a point from Portman Road in 1-1 draw with Ipswich Town on Wednesday evening. 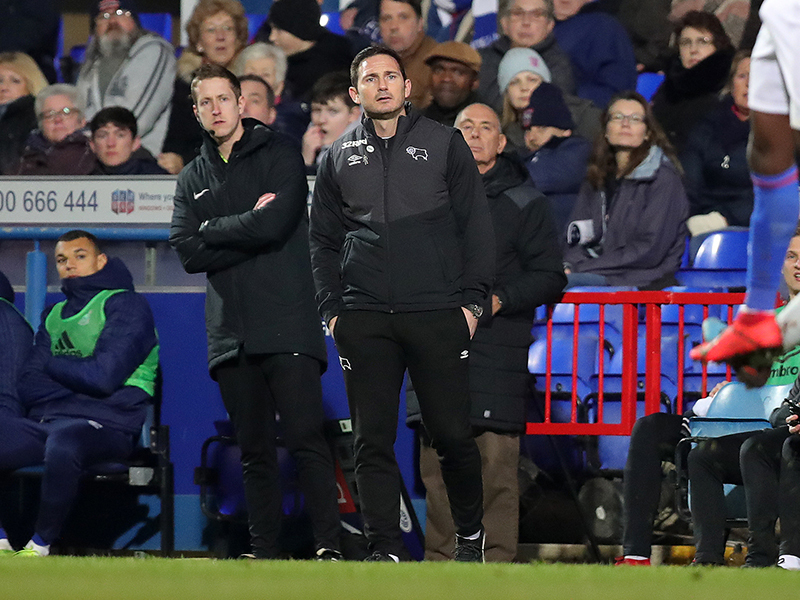 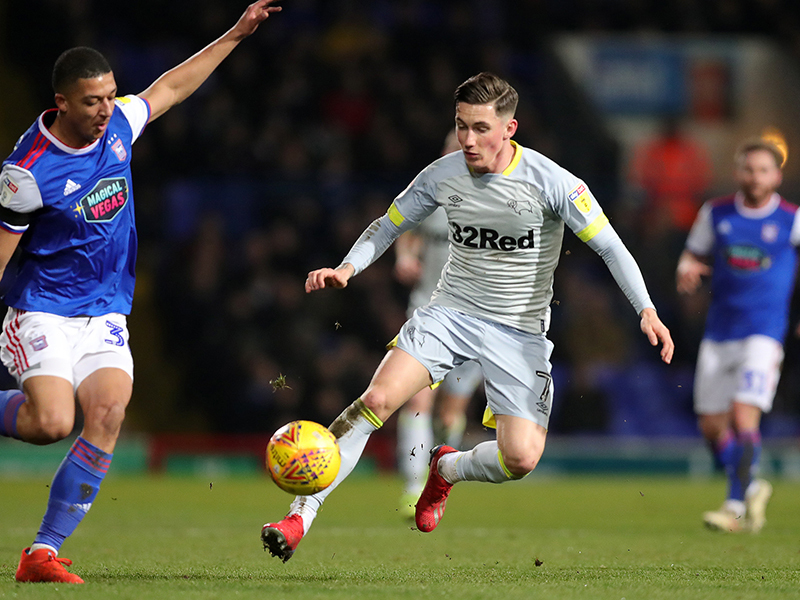 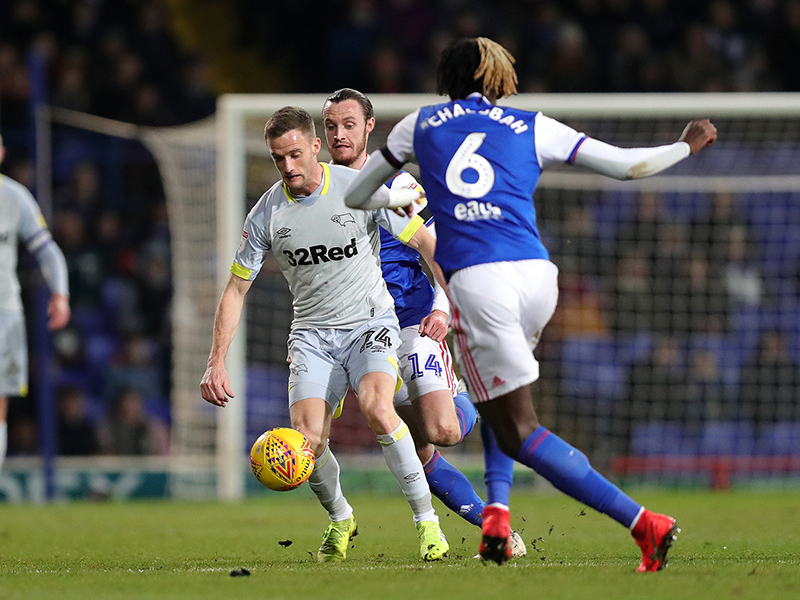 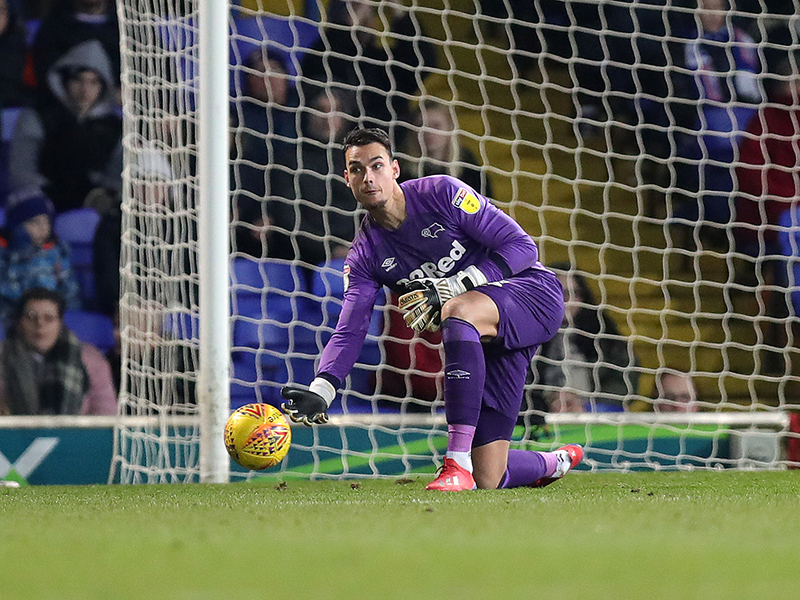 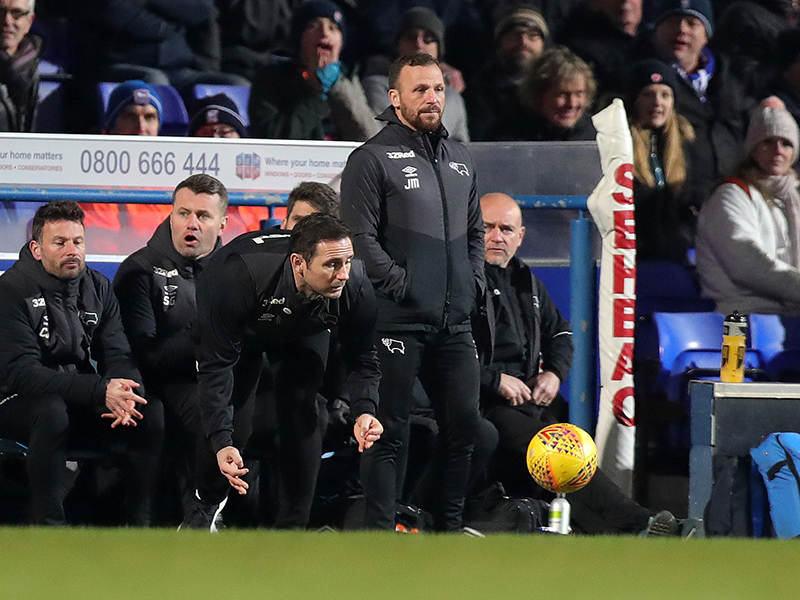 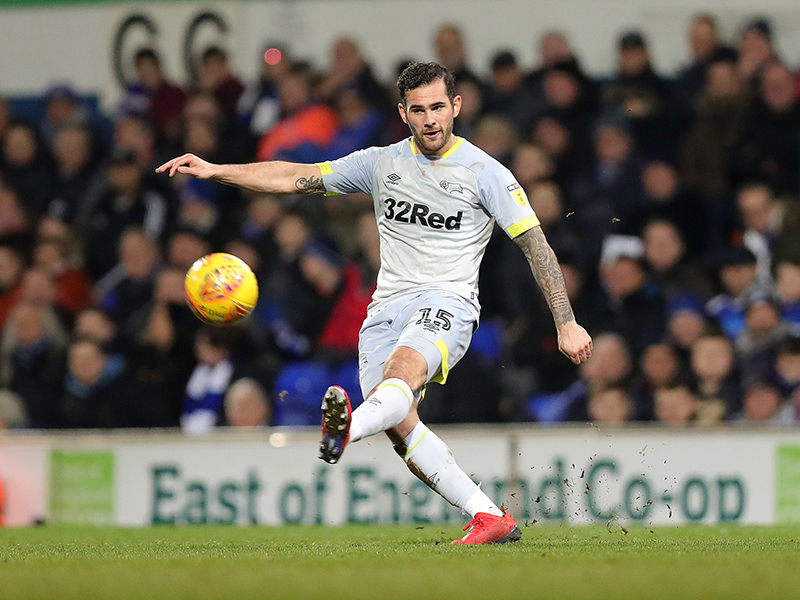 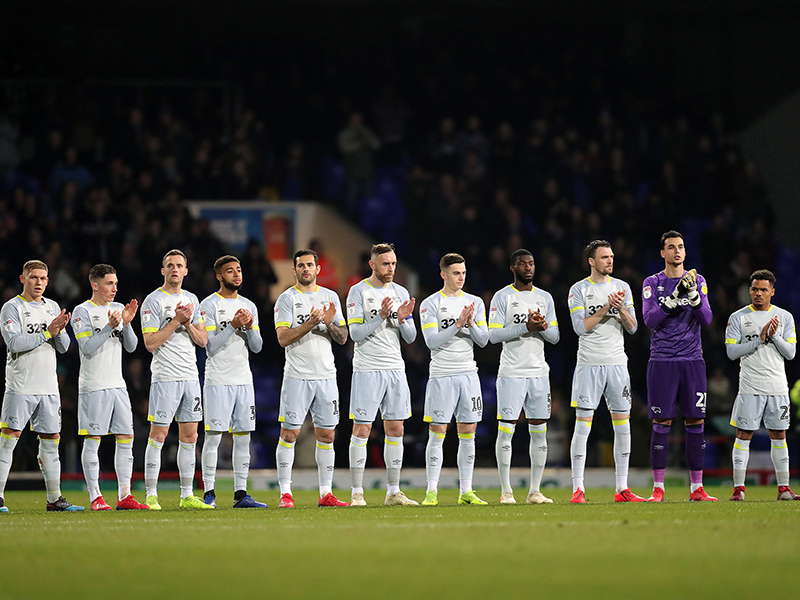 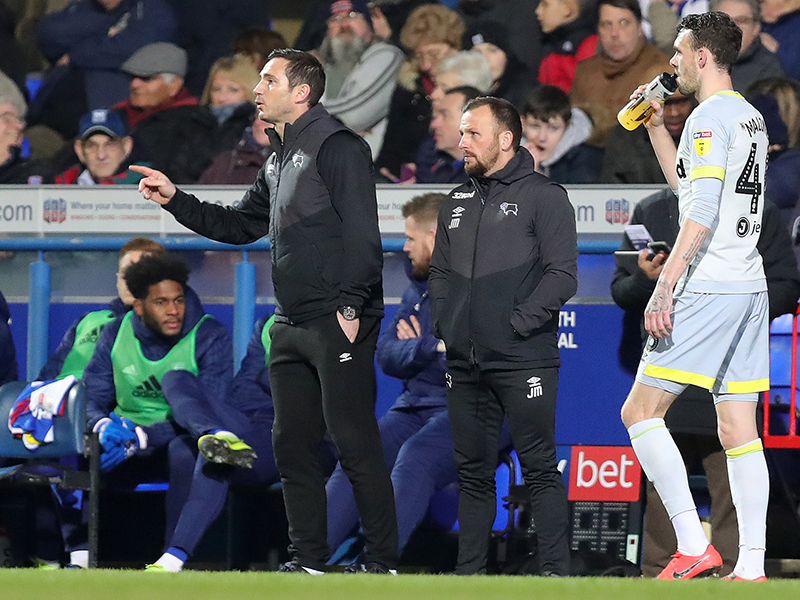 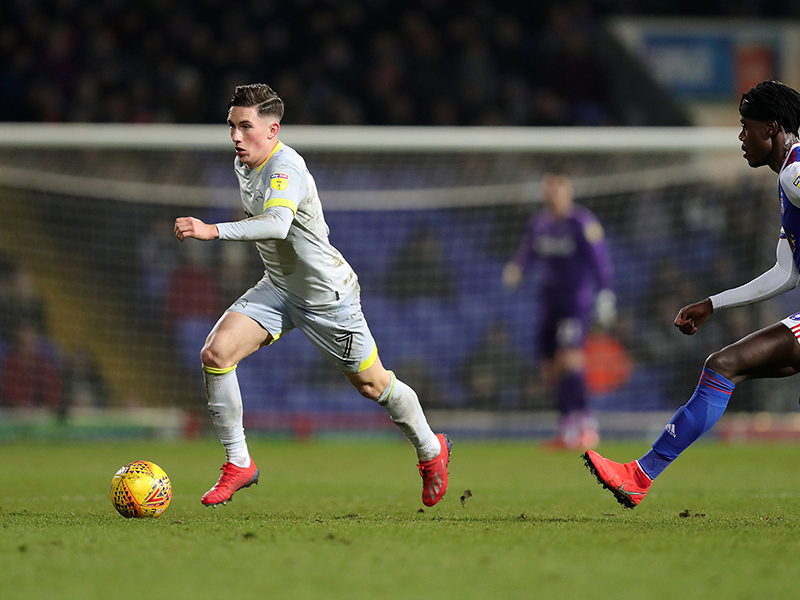 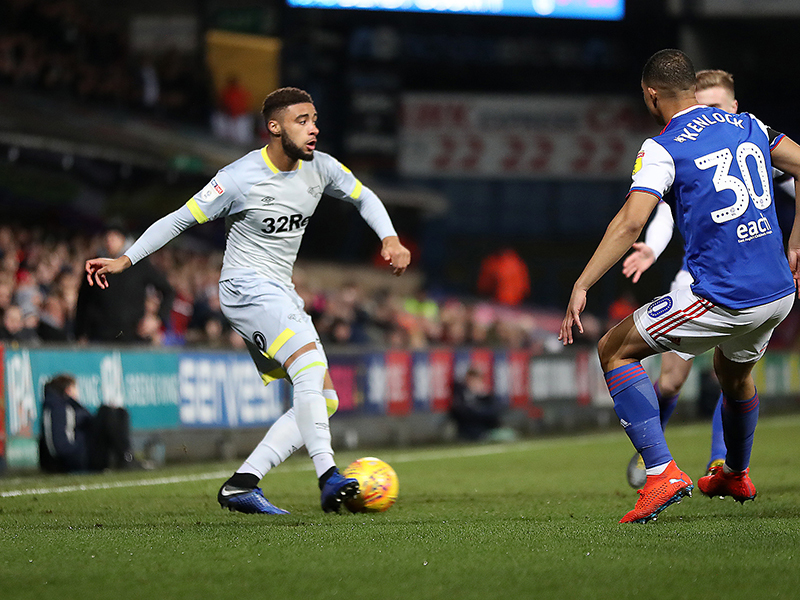 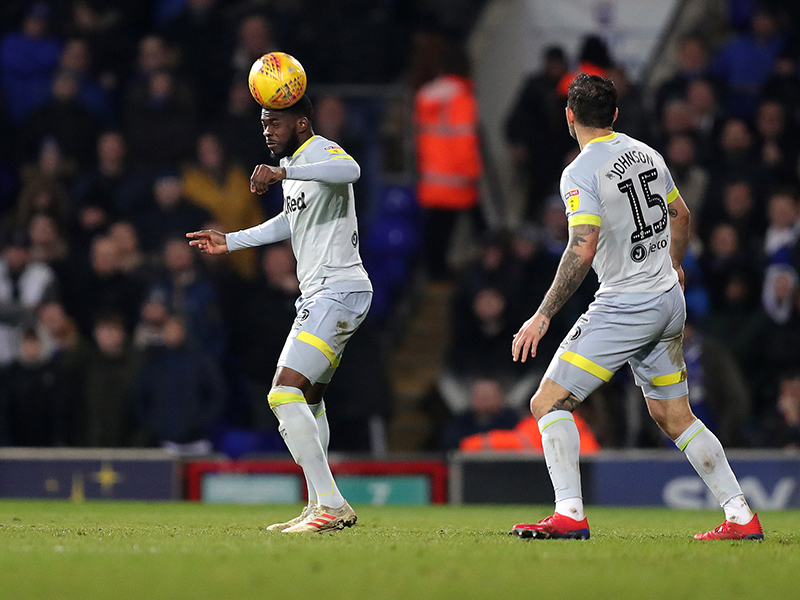 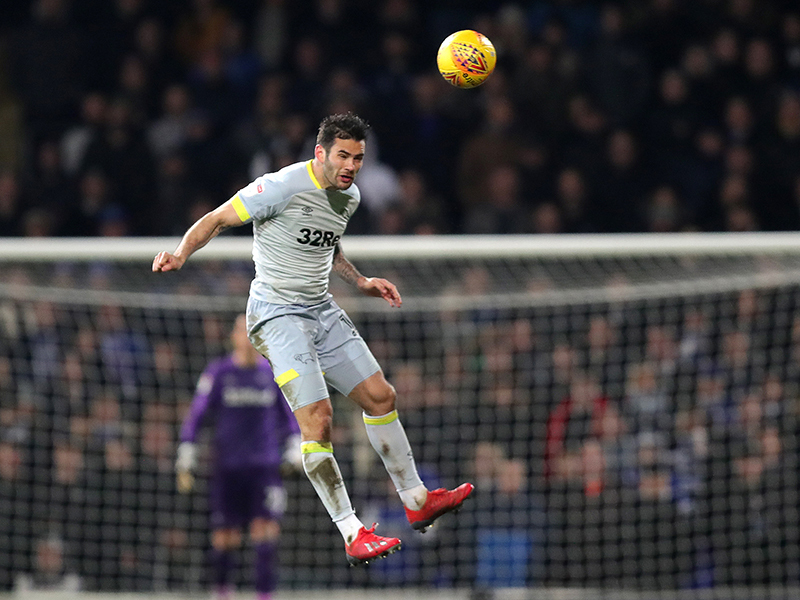 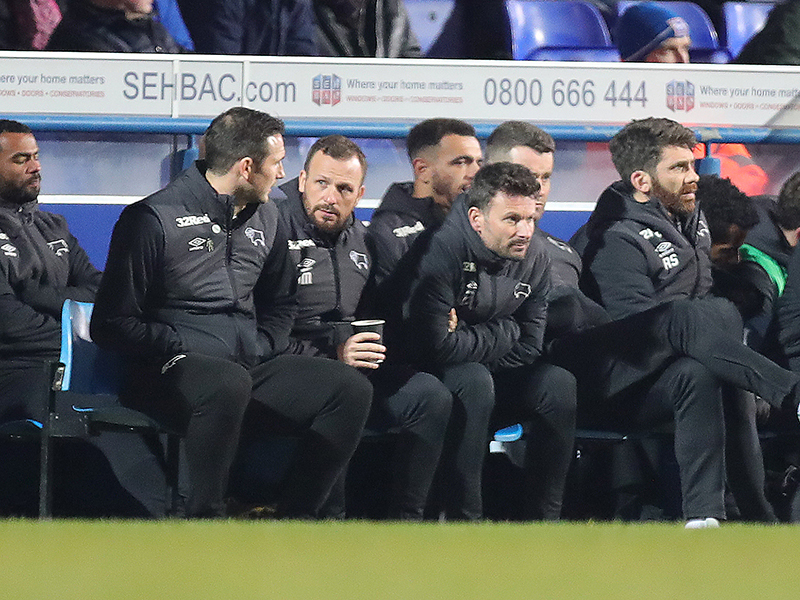 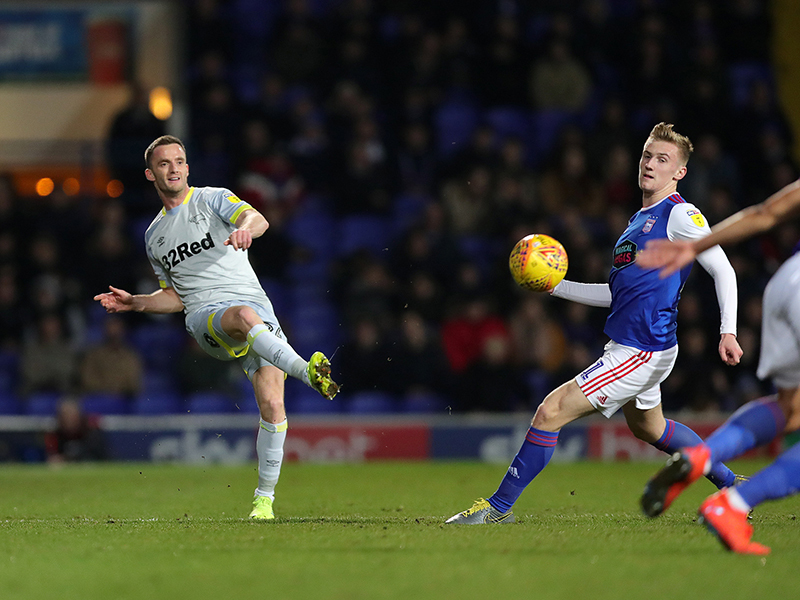 The draw retained the Rams’ position in seventh in the Sky Bet Championship and extended their unbeaten run to six games. 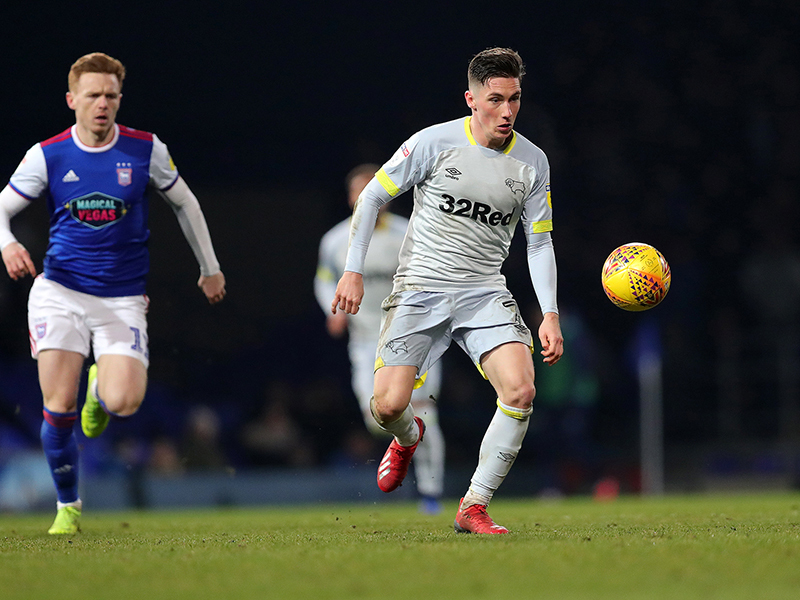 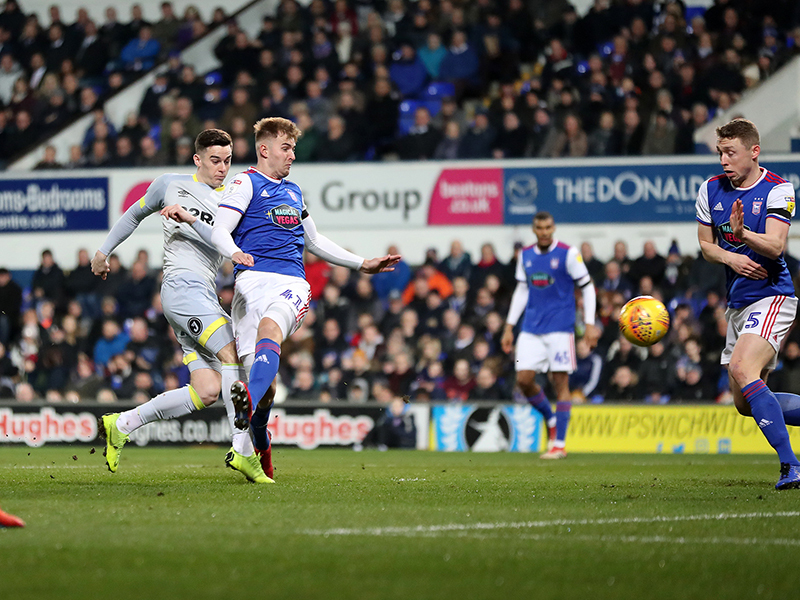 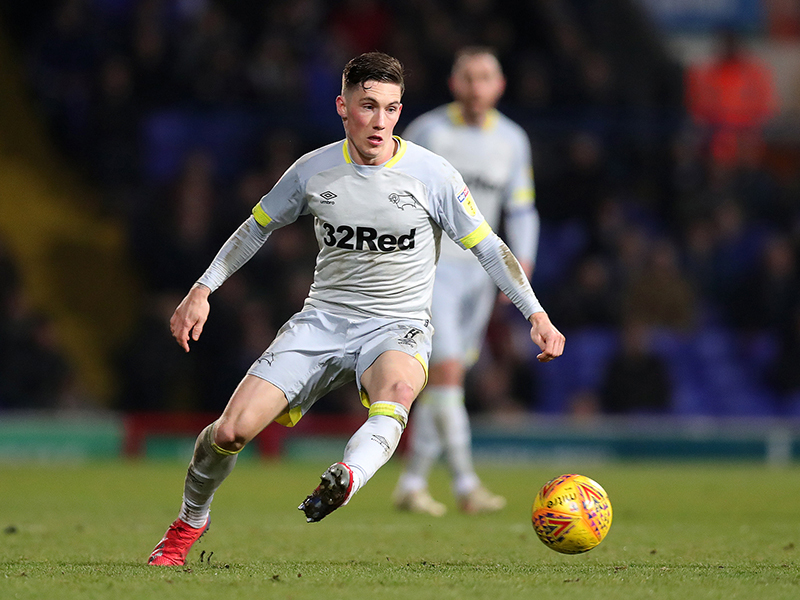 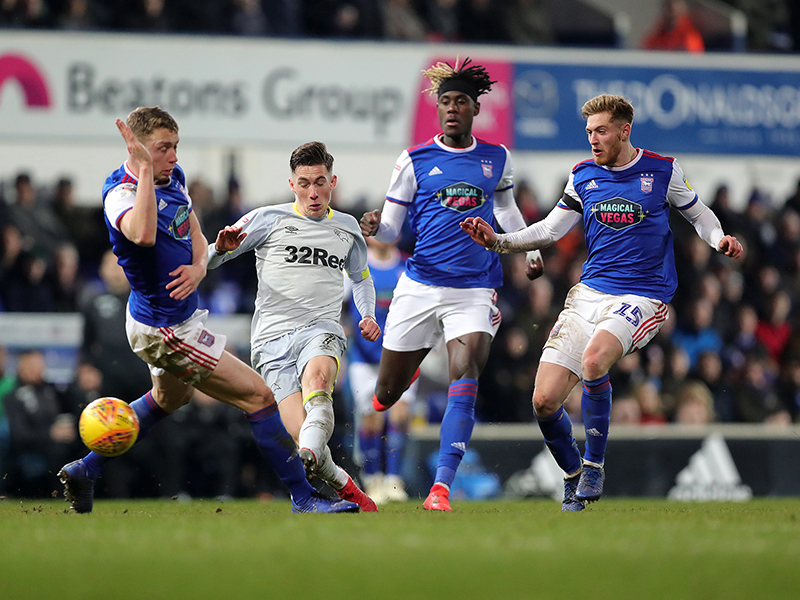 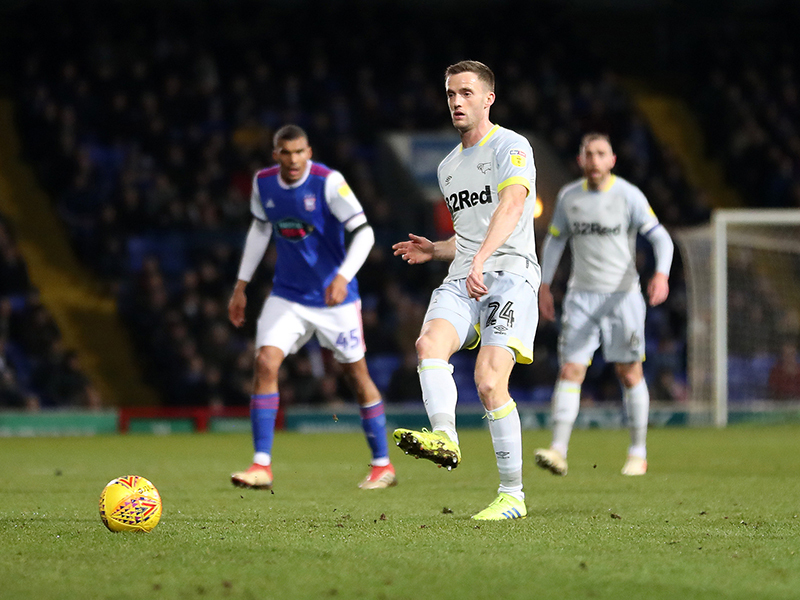 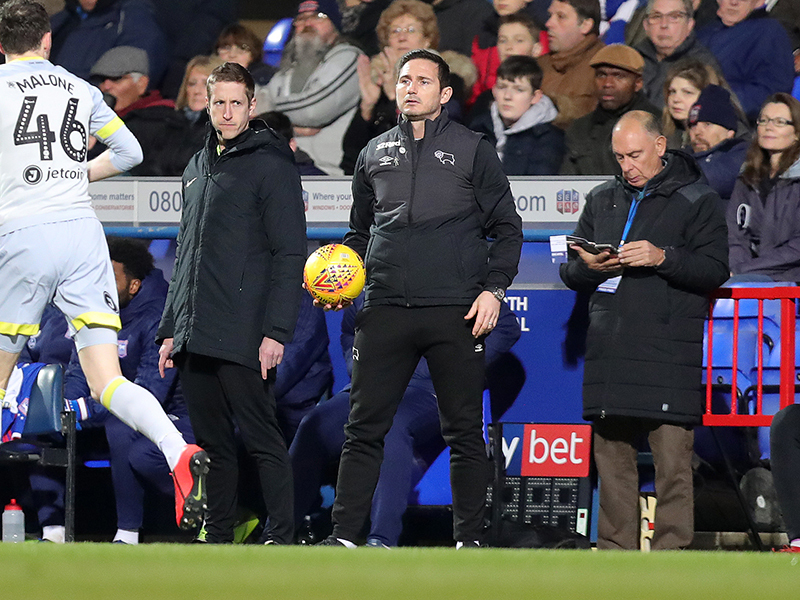 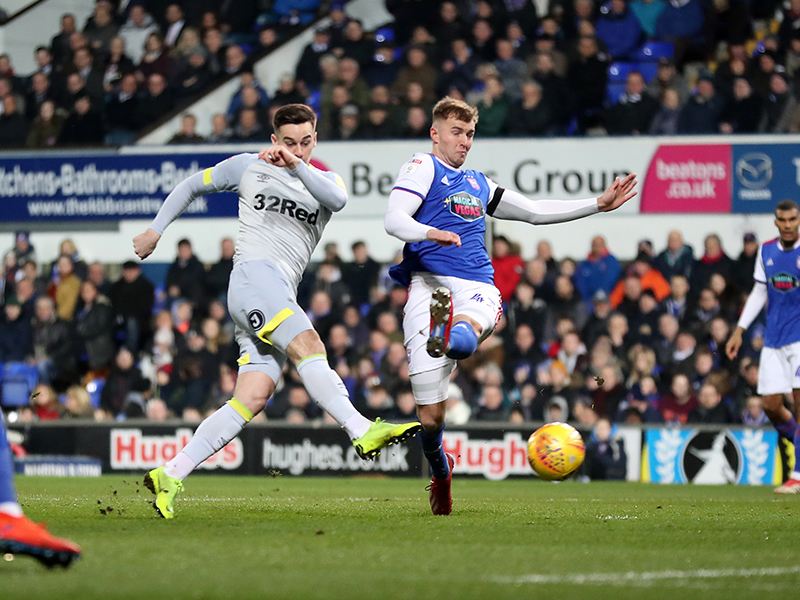 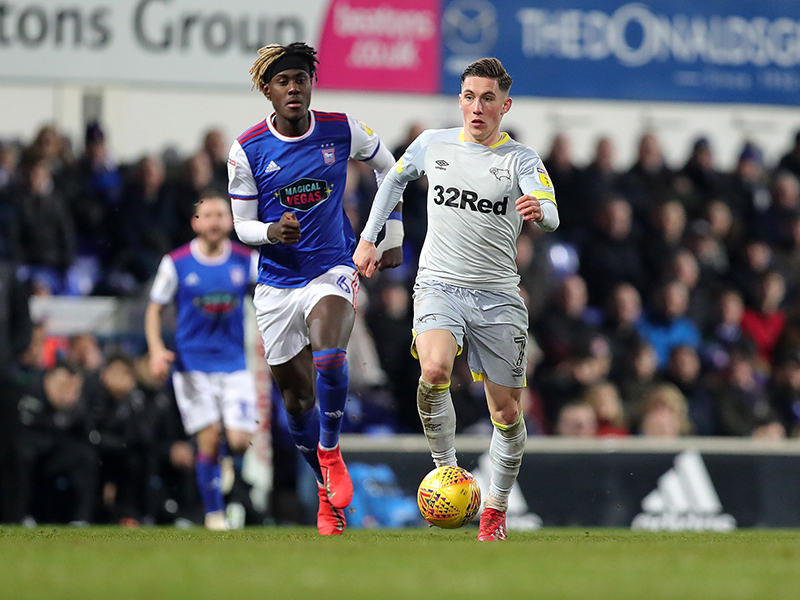 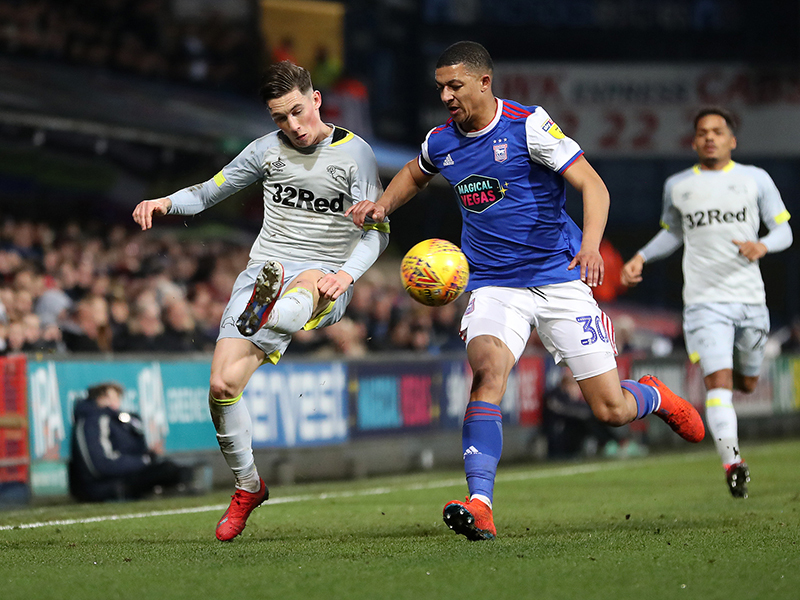 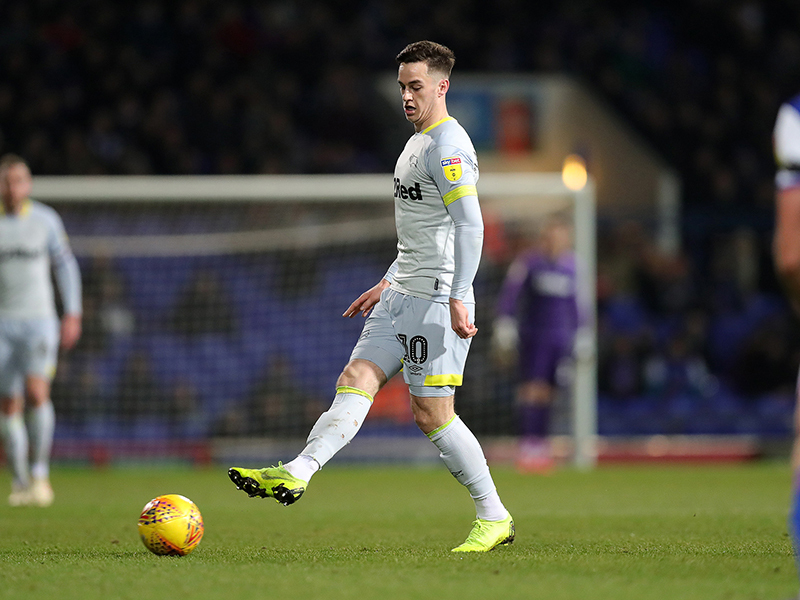 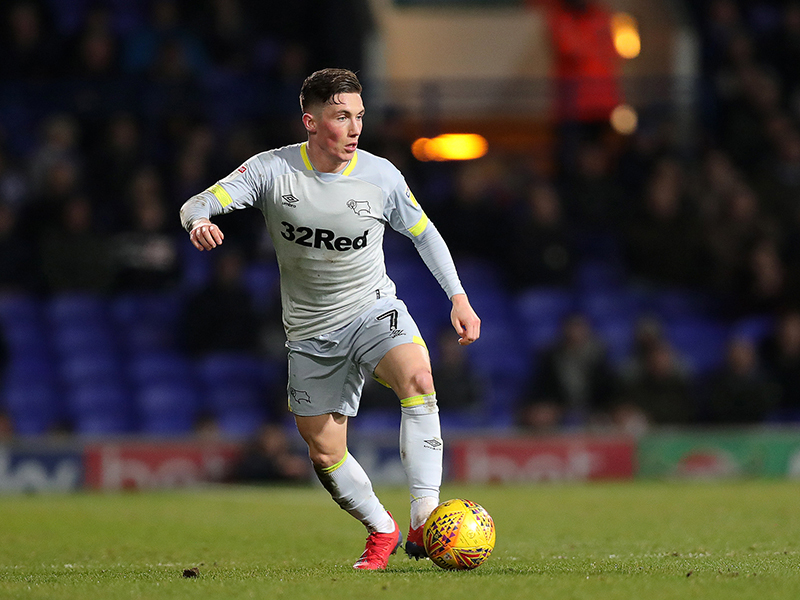 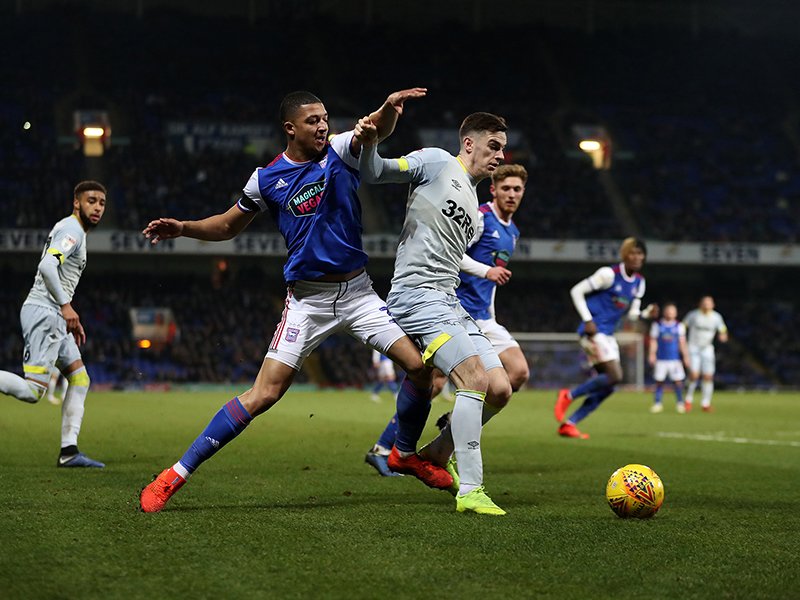 Tom Lawrence bagged his second goal against the Tractor Boys this season with his strike in the opening minutes after scoring in the reverse fixture at Pride Park. 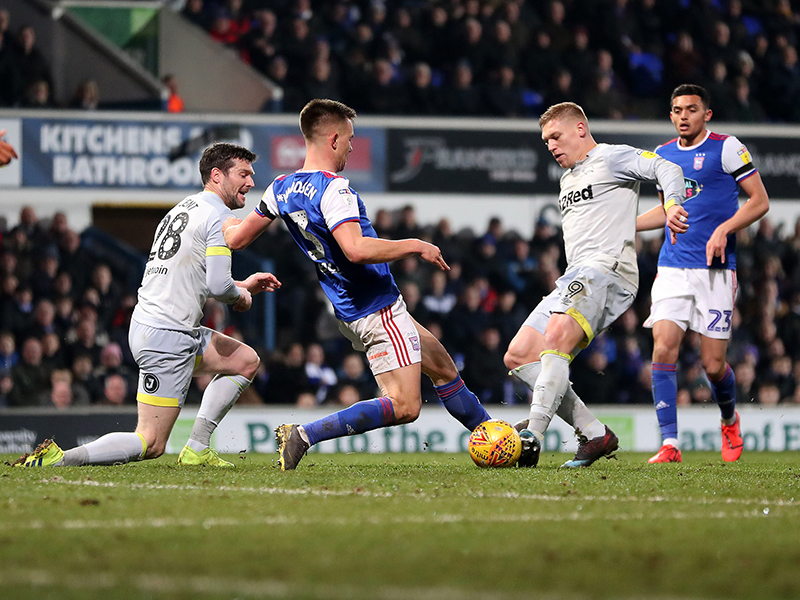 However, strugglers Ipswich found the equaliser to begin the second-half through substitute Jon Nolan. 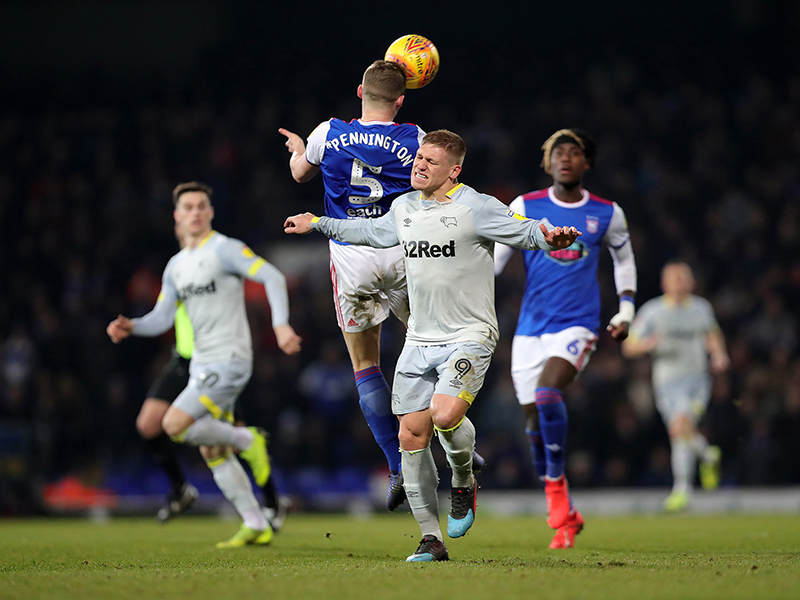 The Rams wasted no time in stamping their mark on the game by grabbing the lead within two minutes. 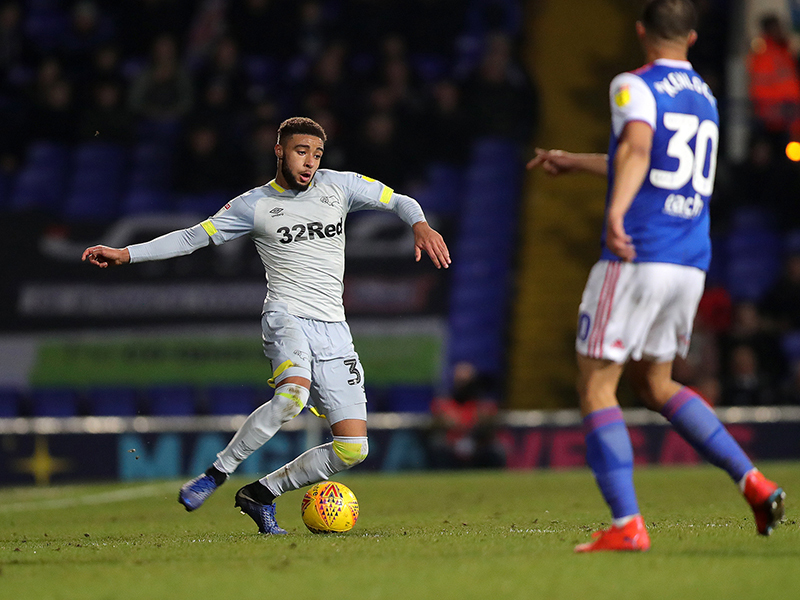 For the second time in five days Jayden Bogle notched an assist, this time providing for Lawrence in his return from injury. 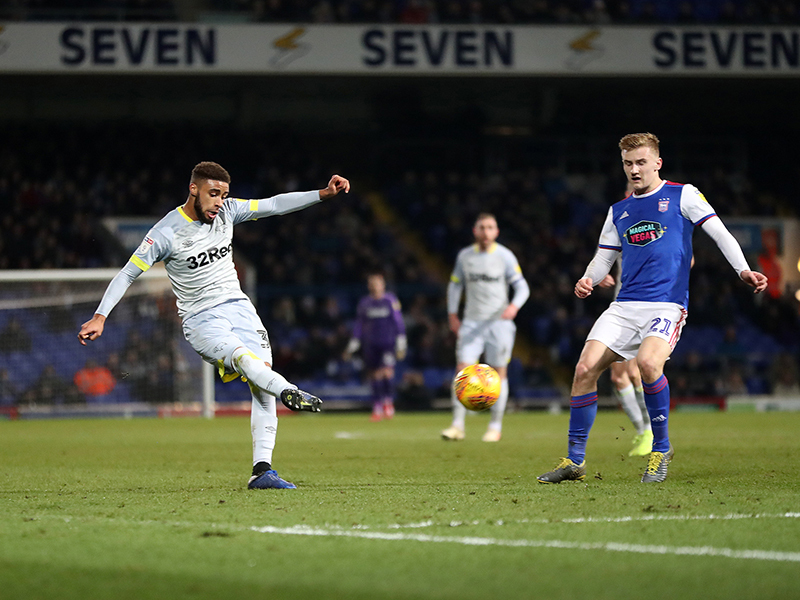 The young full-back directed a header towards the Wales international which he struck sweetly towards goal and his shot took a deflection into the back of the net. 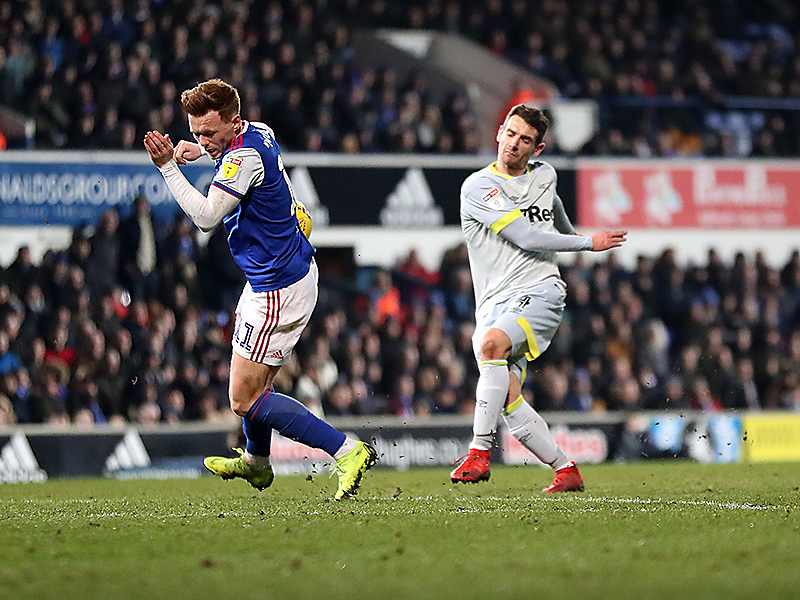 From there, Ipswich looked dangerous as they went in search of the equaliser. 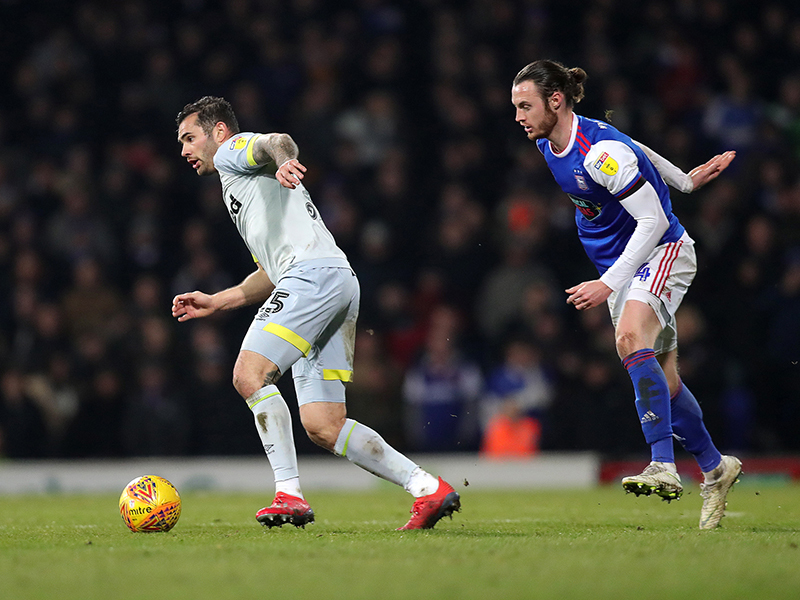 Midway through the half, Alan Judge made a break down the middle and fed the ball to Collin Quaner but his strike flew past Kelle Roos’ near post. 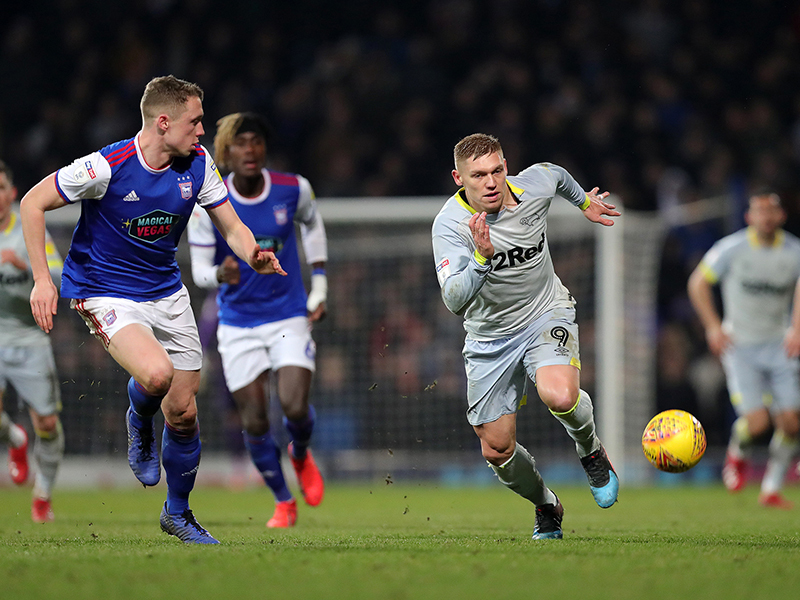 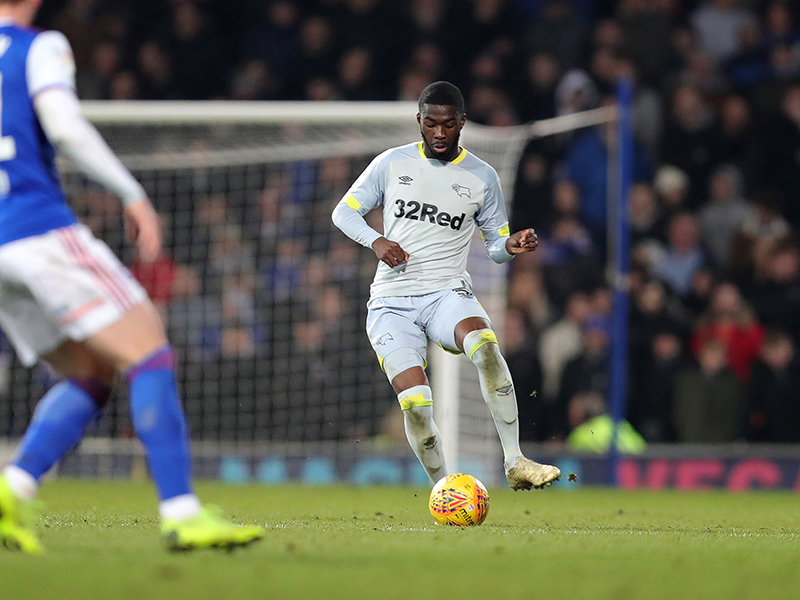 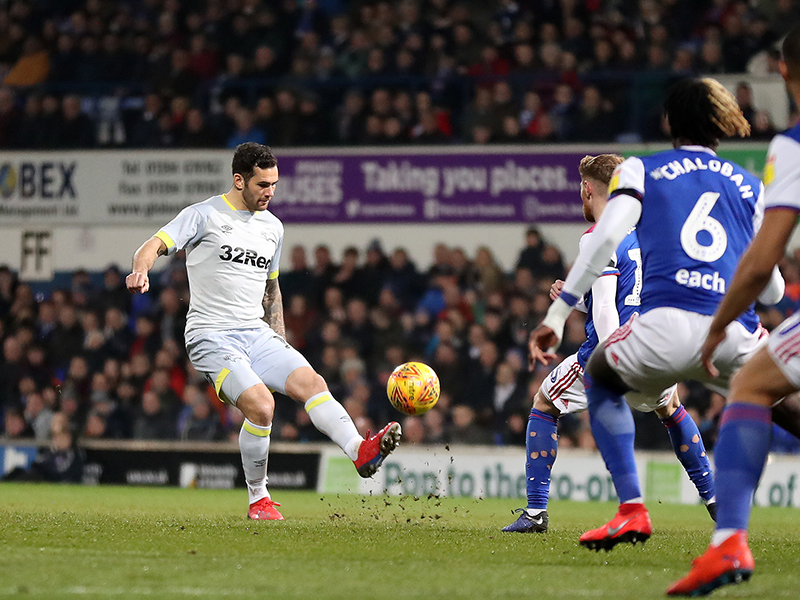 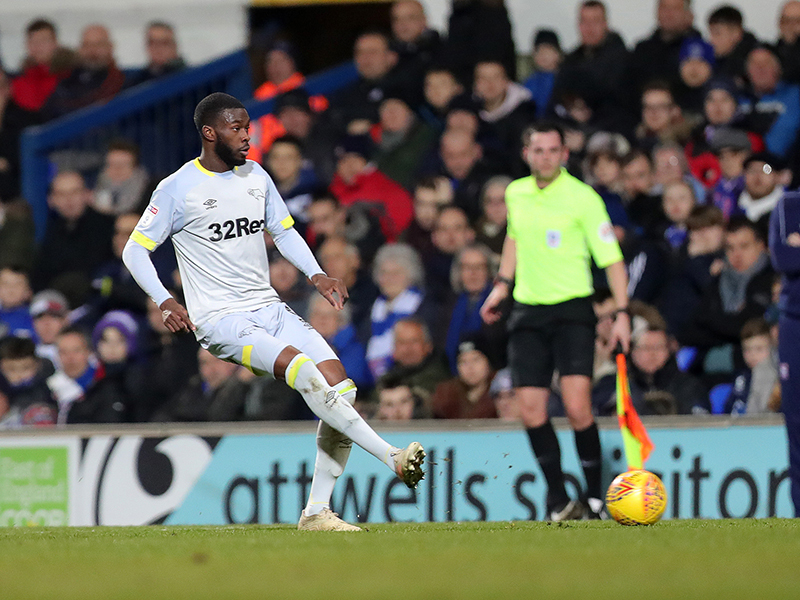 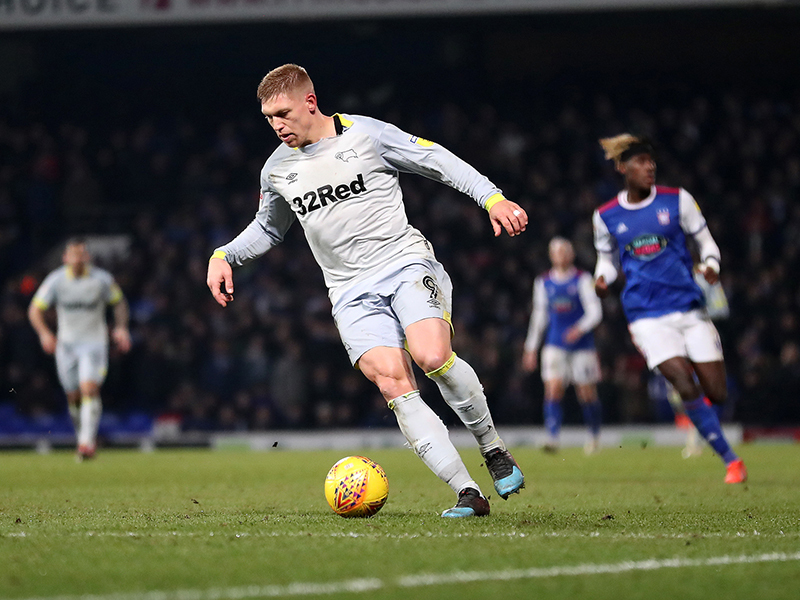 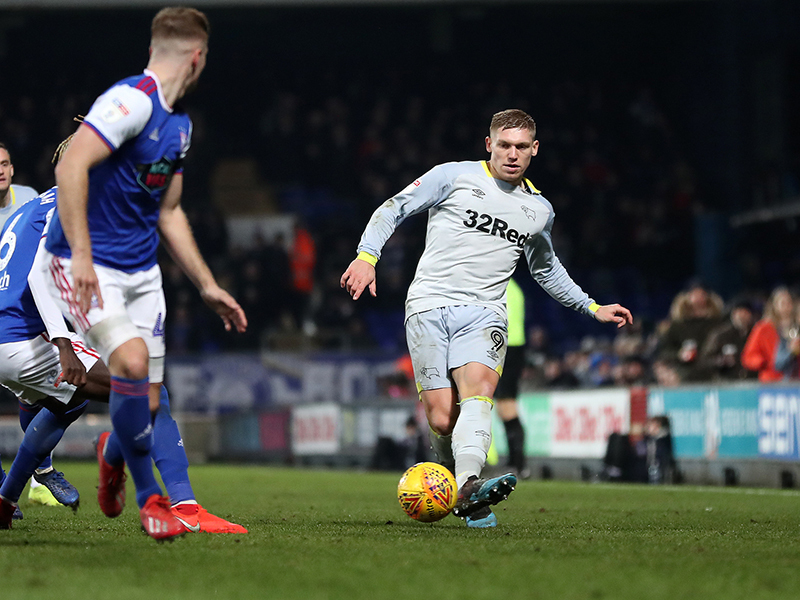 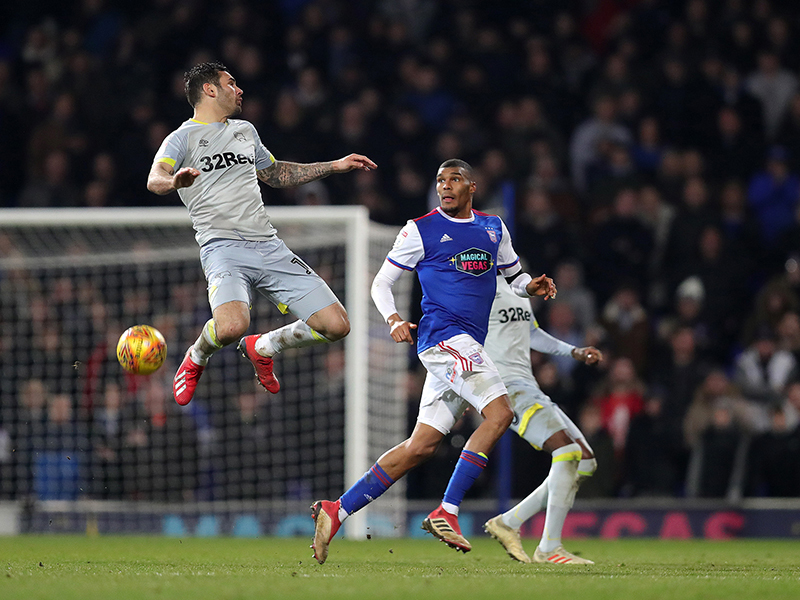 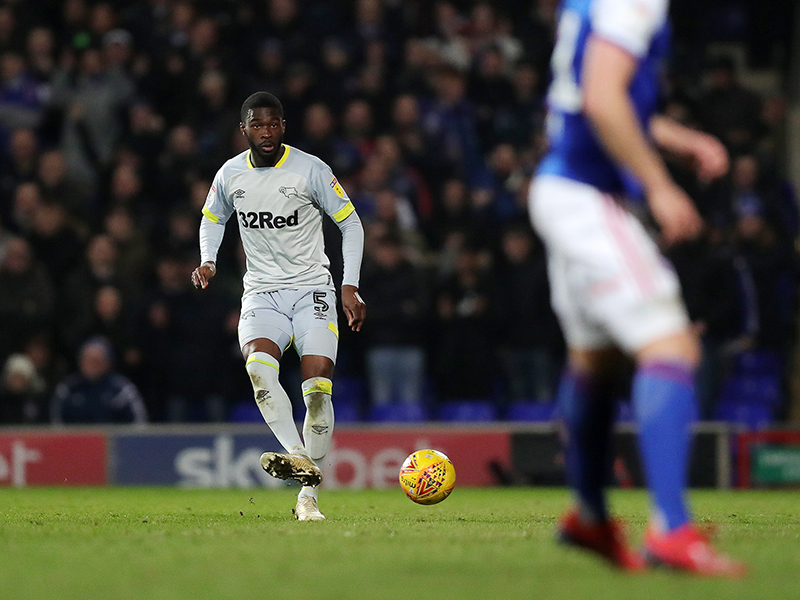 In the final minute before the break, the Rams came close to doubling the lead from Lawrence’s corner when Martyn Waghorn’s flick on was struck by Fikayo Tomori, but his low effort rolled just wide. 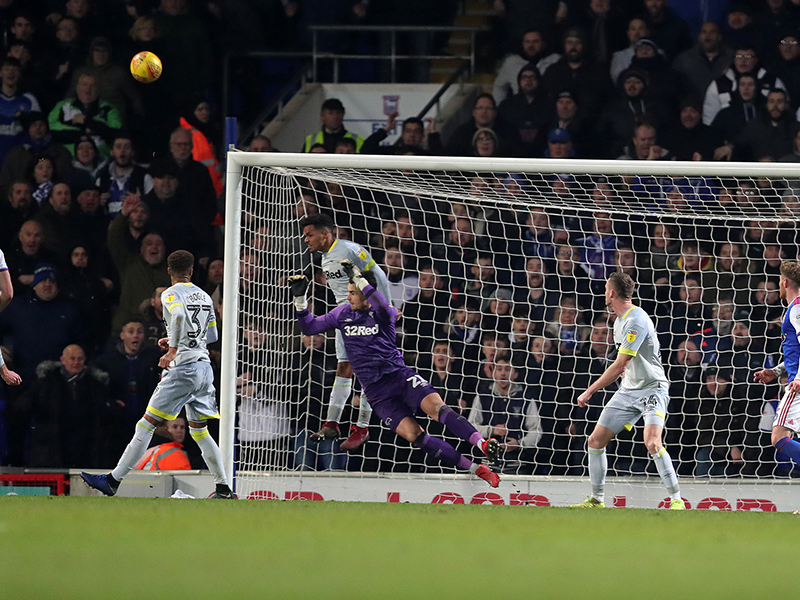 The equaliser came less than ten minutes into the second-half following the home sides fast break. 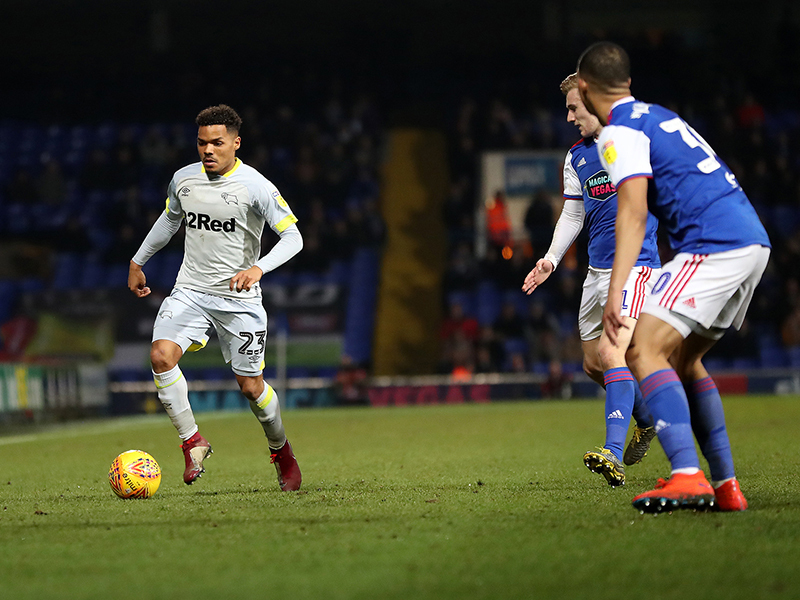 Quaner found Nolan, who had just come off the bench, in the centre of the box and his right-footed shot found the bottom corner. 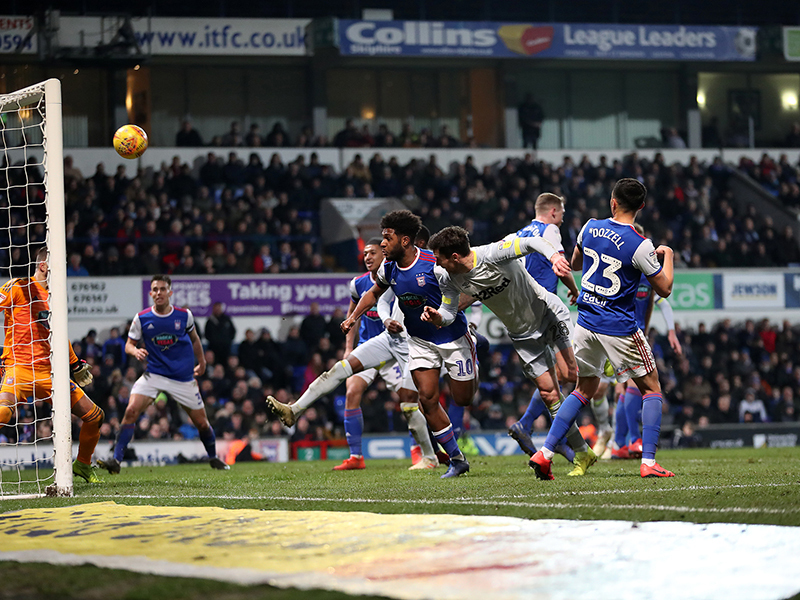 A superb clearance by Duane Holmes off the line kept the Rams in the game as he denied Judge the chance of giving Ipswich the lead. 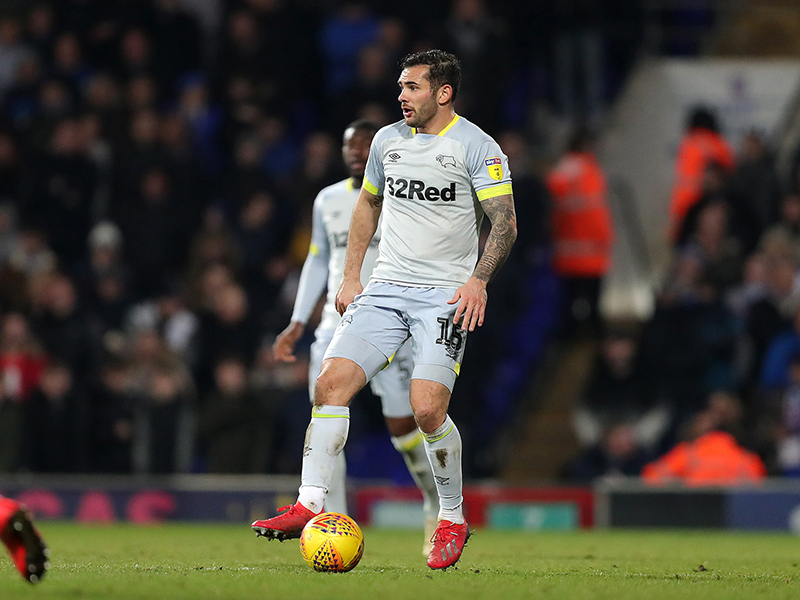 The Rams rebuilt some pressure inside the final ten minutes. 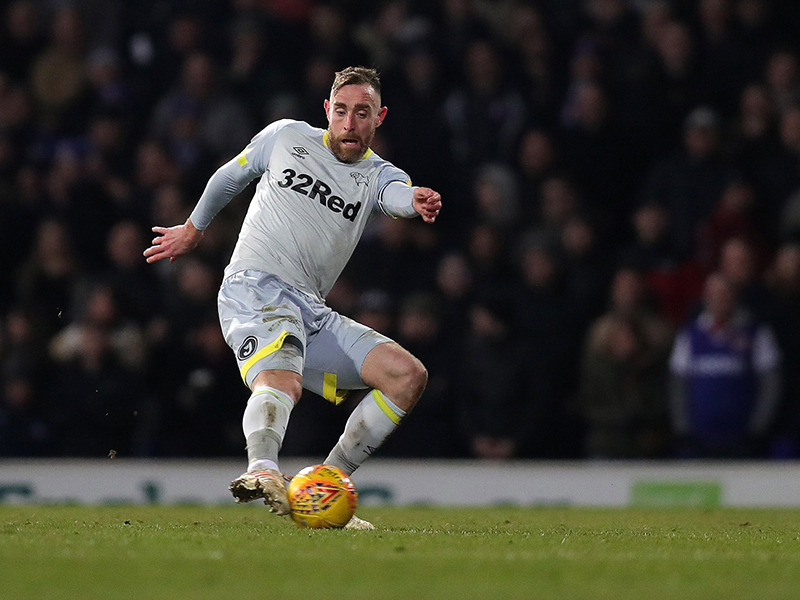 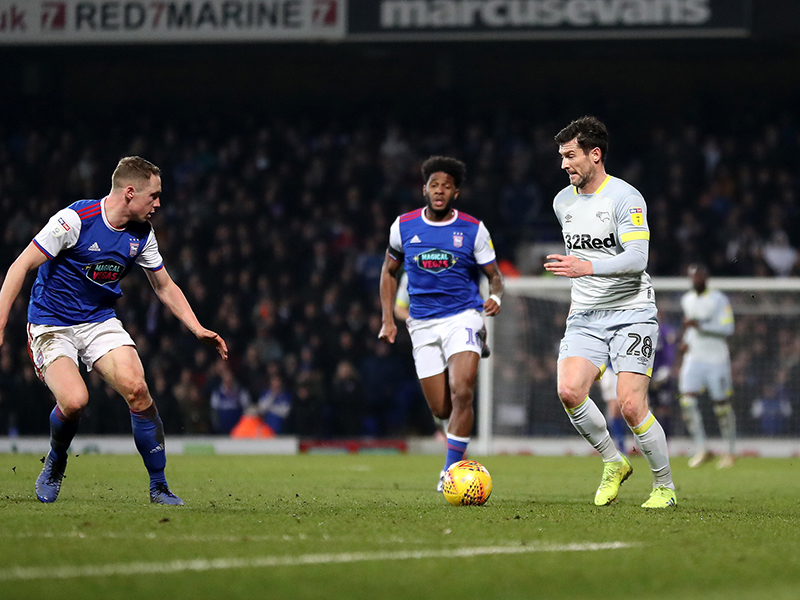 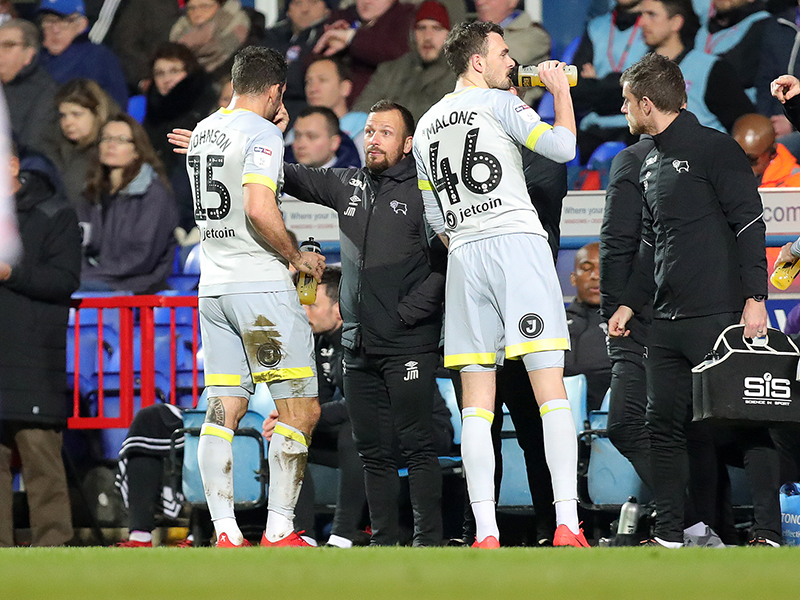 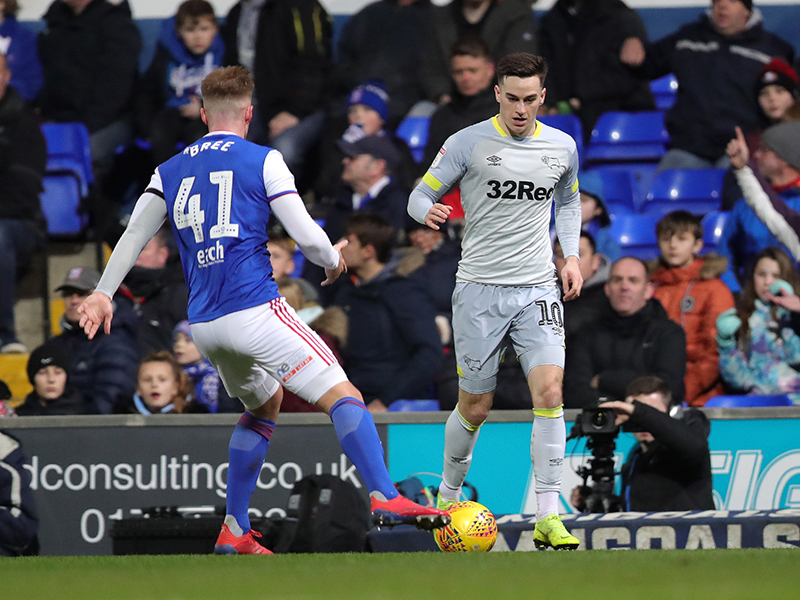 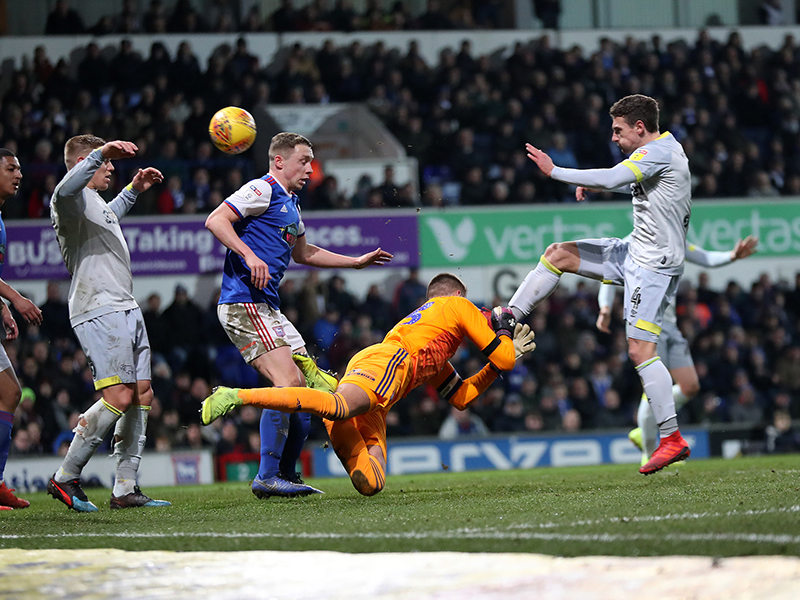 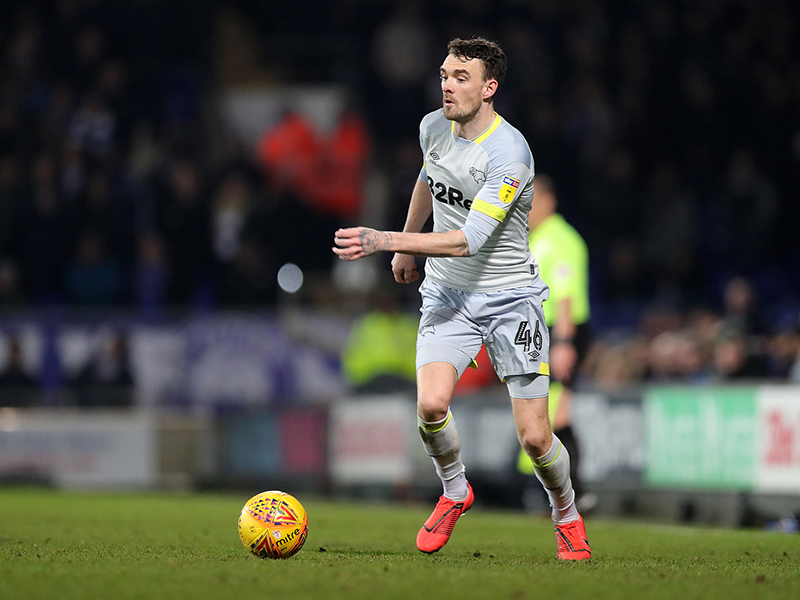 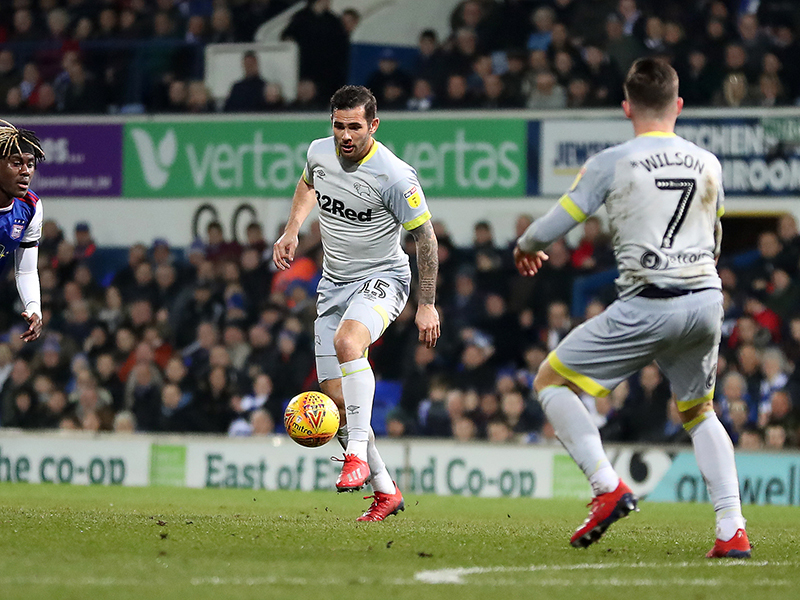 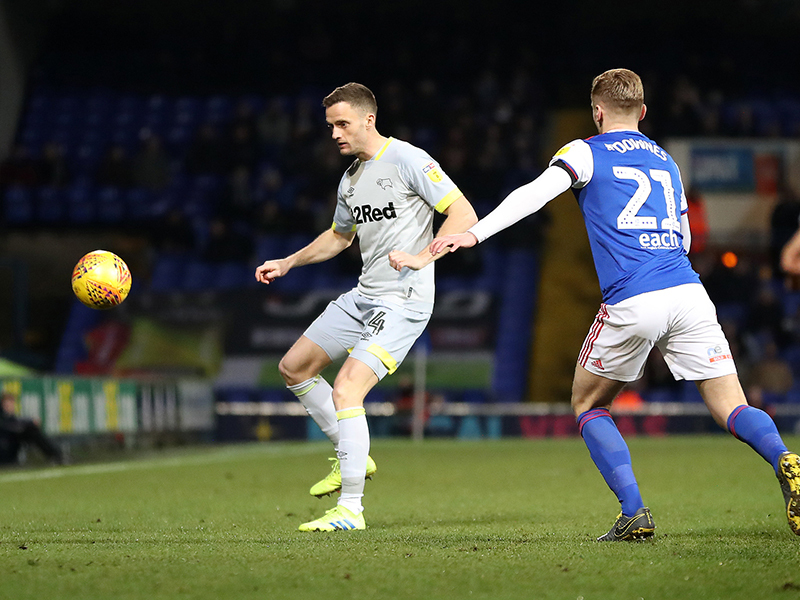 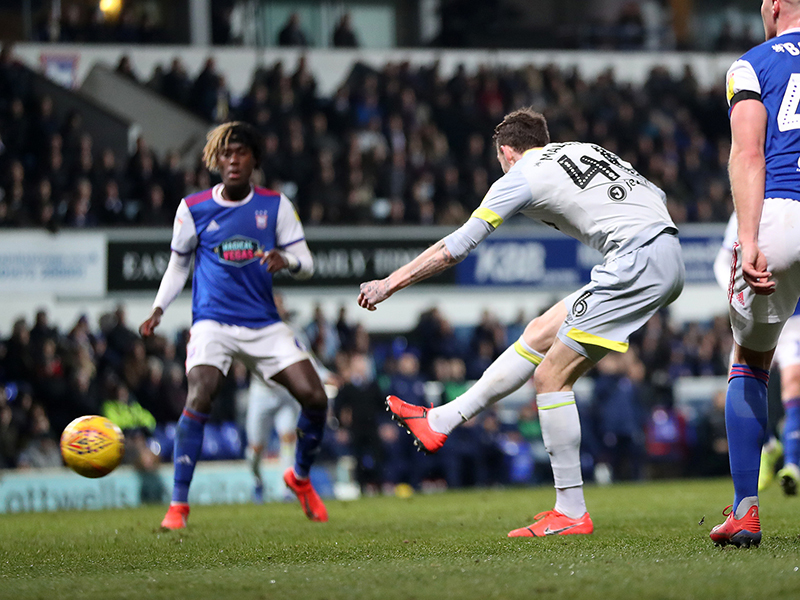 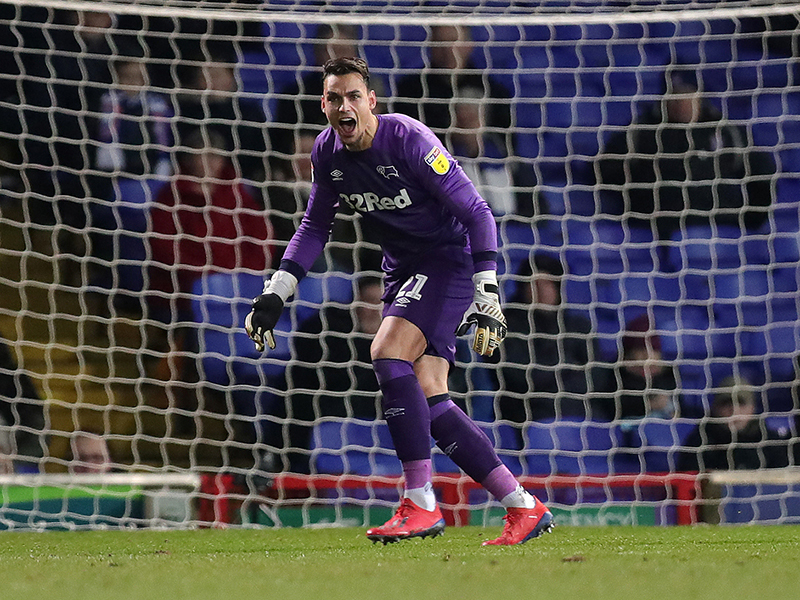 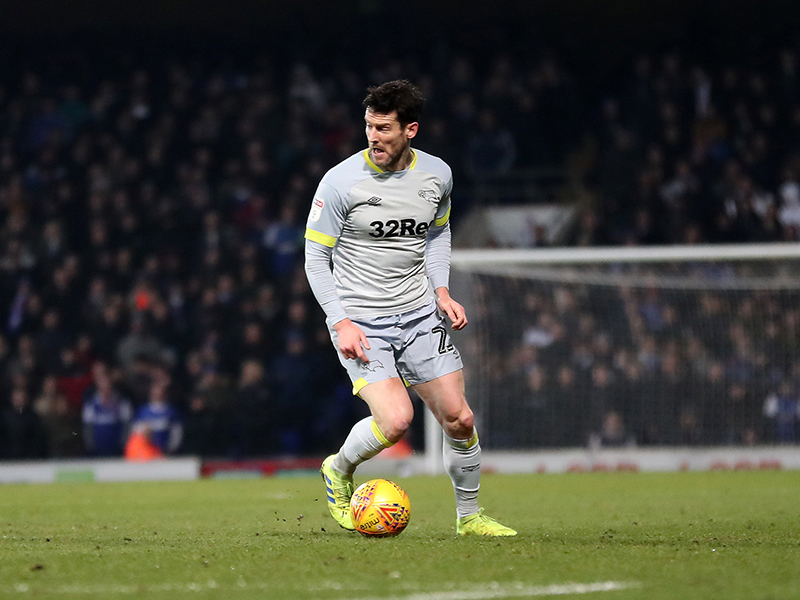 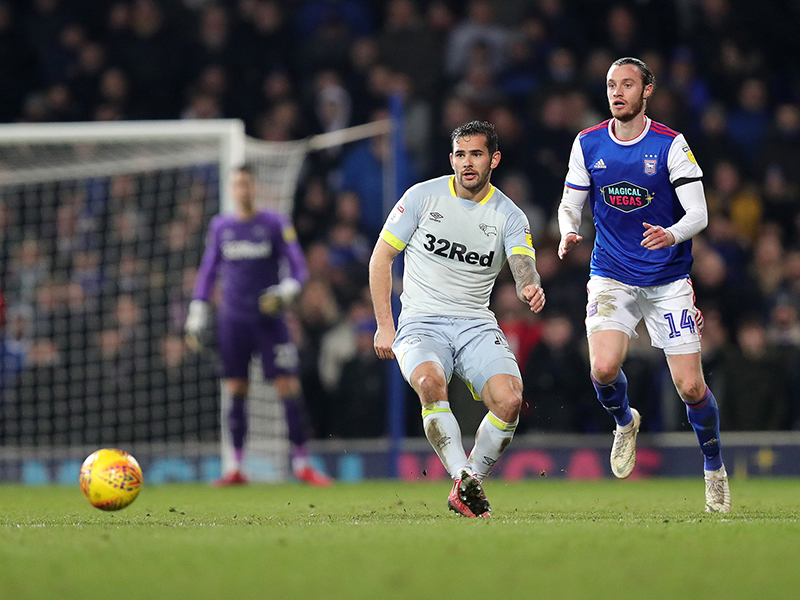 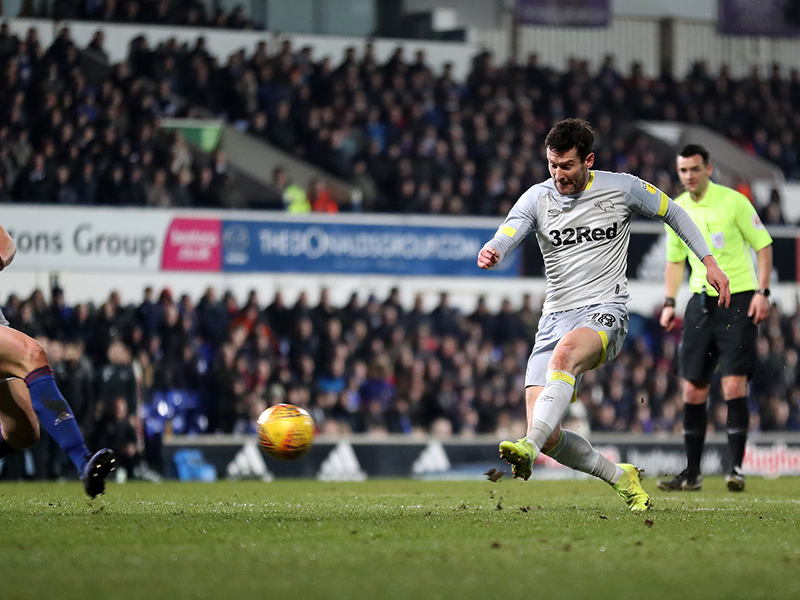 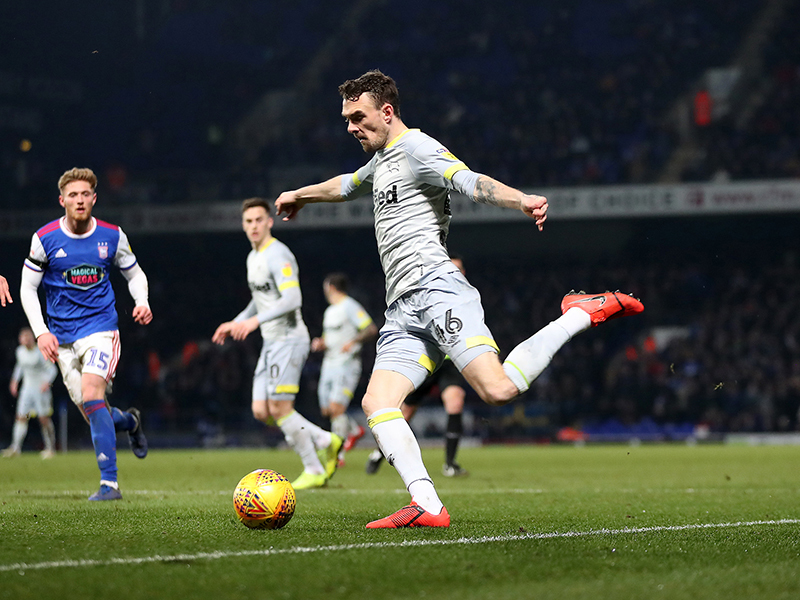 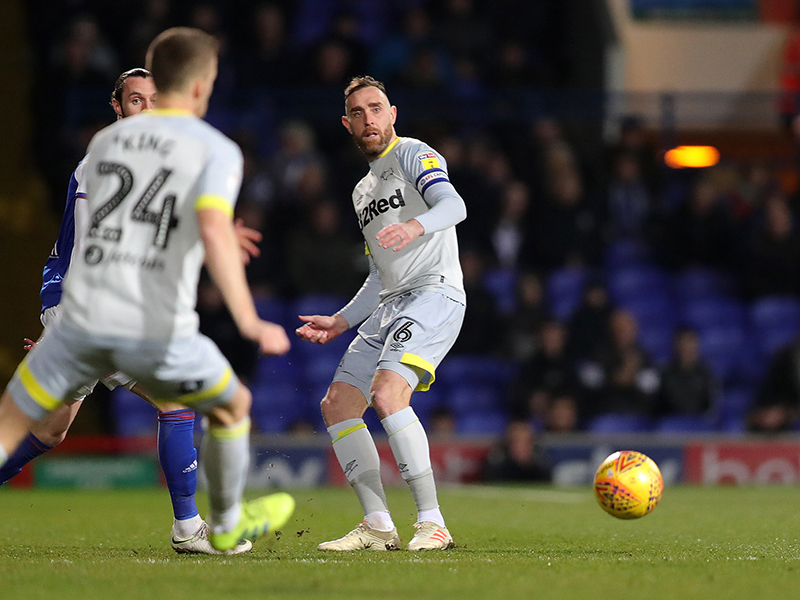 After moving the ball round well following a Derby corner, Craig Bryson’s cross found Richard Keogh but a brilliant save by Bartosz Bialkowski denied him at the near post. 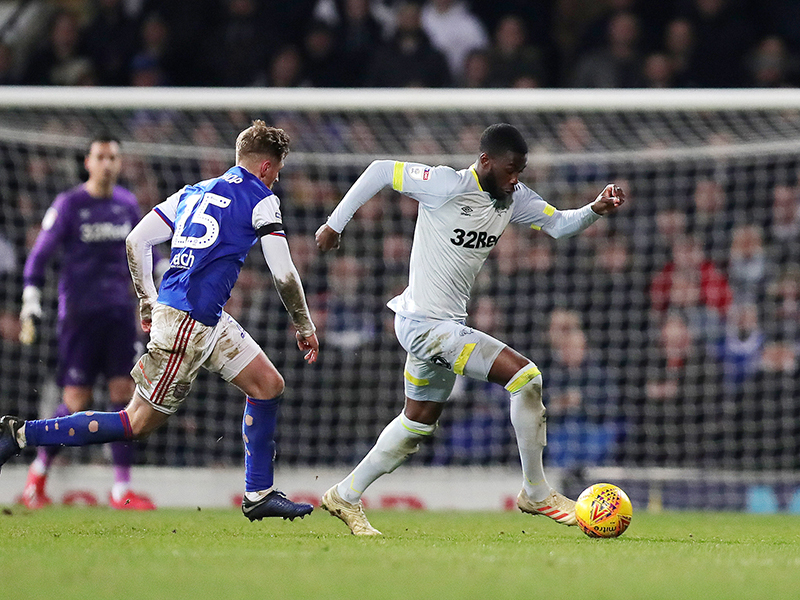 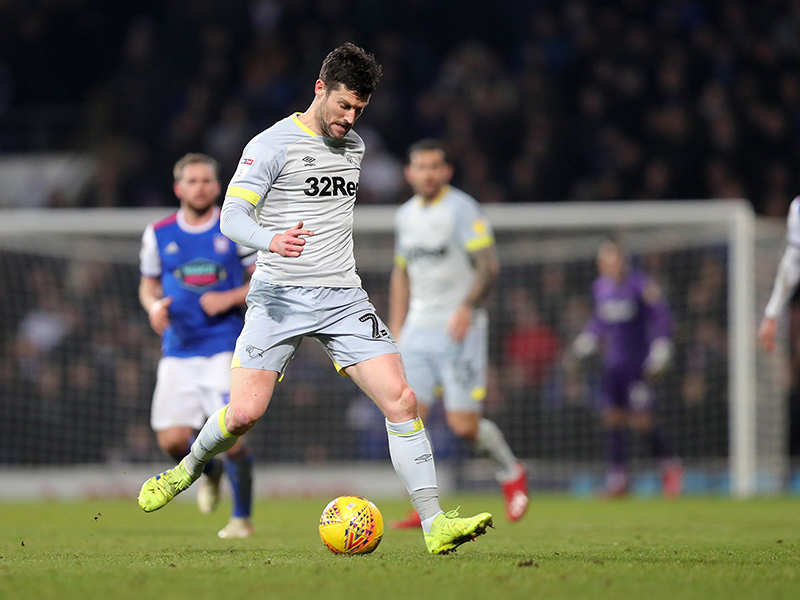 With the ball batted back into the box, David Nugent tumbled before Tomori sent a shot over. 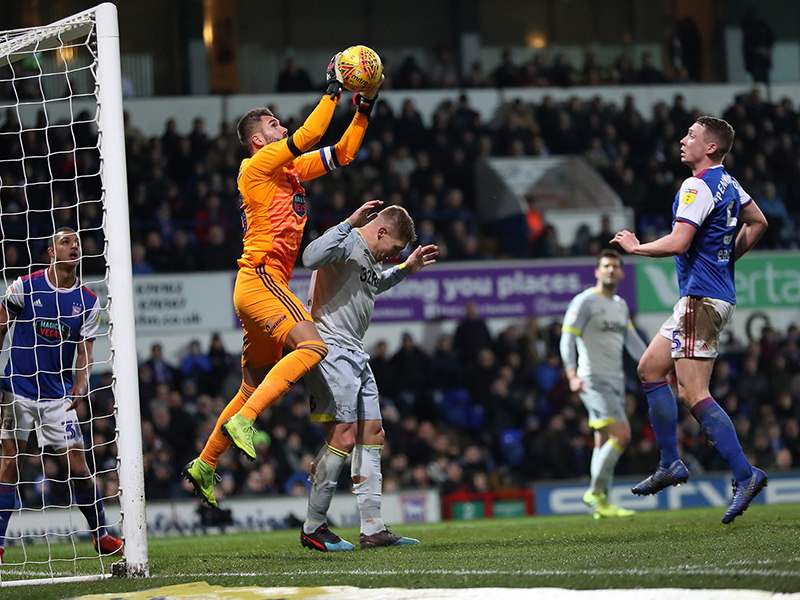 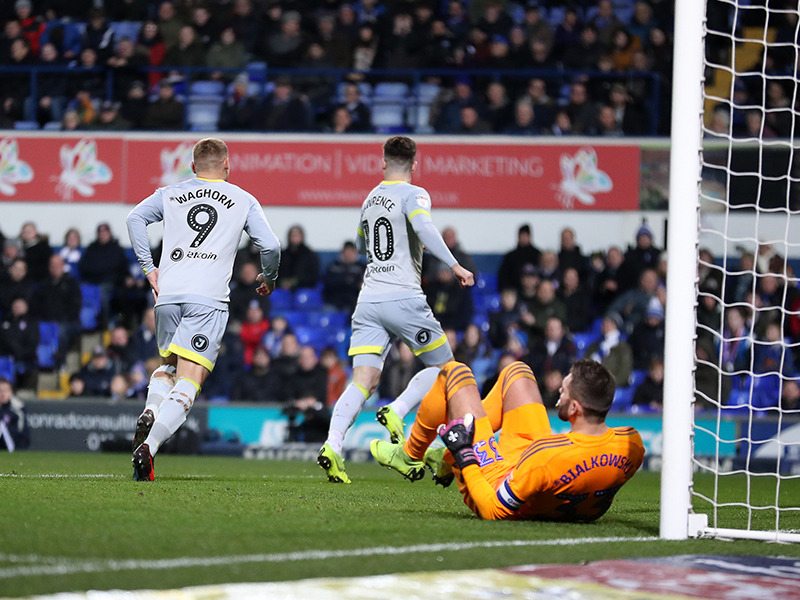 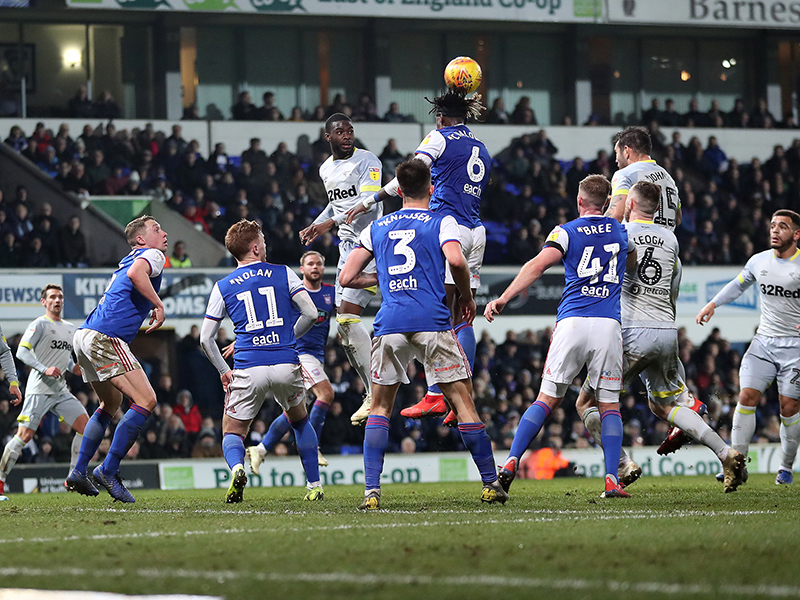 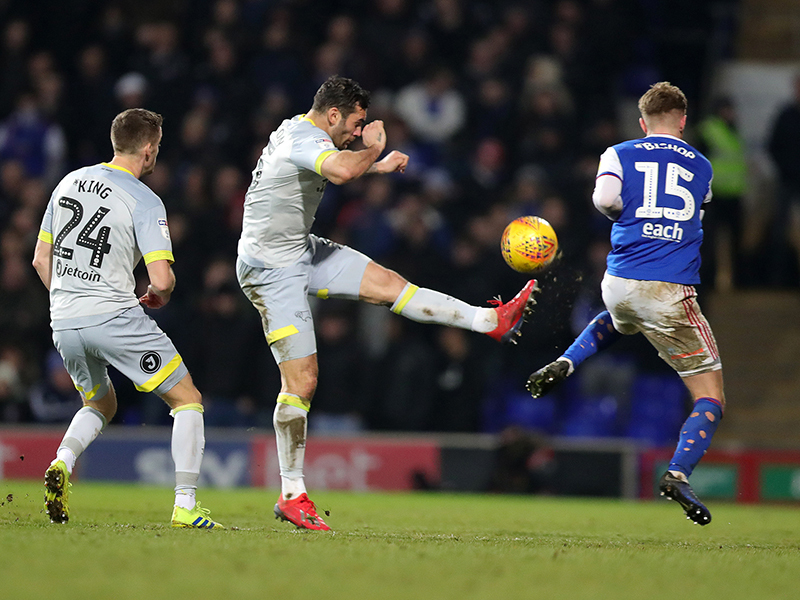 Bialkowski was called into action again in the closing minutes to tip Waghorn’s header over from Lawrence’s free-kick into the area before Nugent came close to bagging the lead in extra time but his close-range effort hit the woodwork.